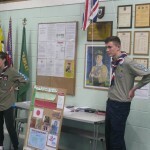 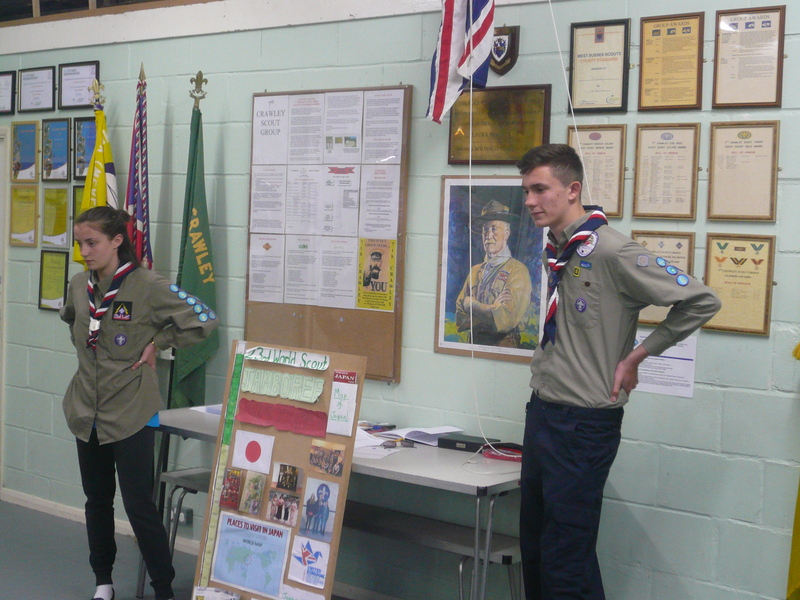 We were joined tonight by two of three Explorer Scouts who have been selected to represent Crawley District at the forthcoming Scout Jamboree being held in Japan in July. 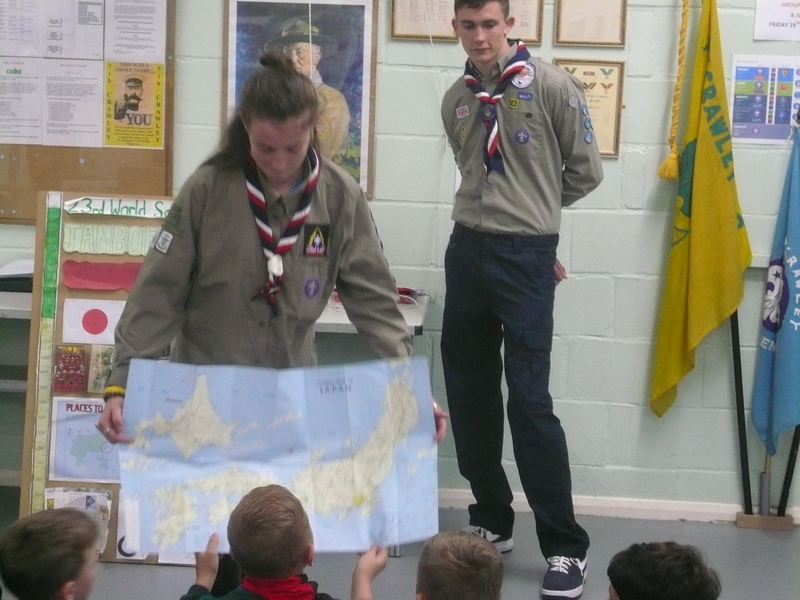 Maya & Matt briefly explained how they had been selected from over 30 young hopefuls and some of the activities that they had been involved in particularly with the rest of the West Sussex Contingent. 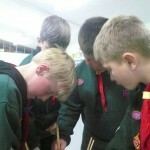 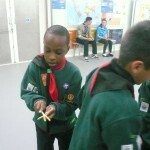 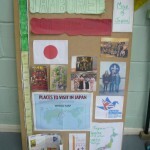 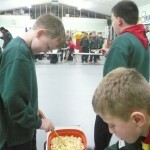 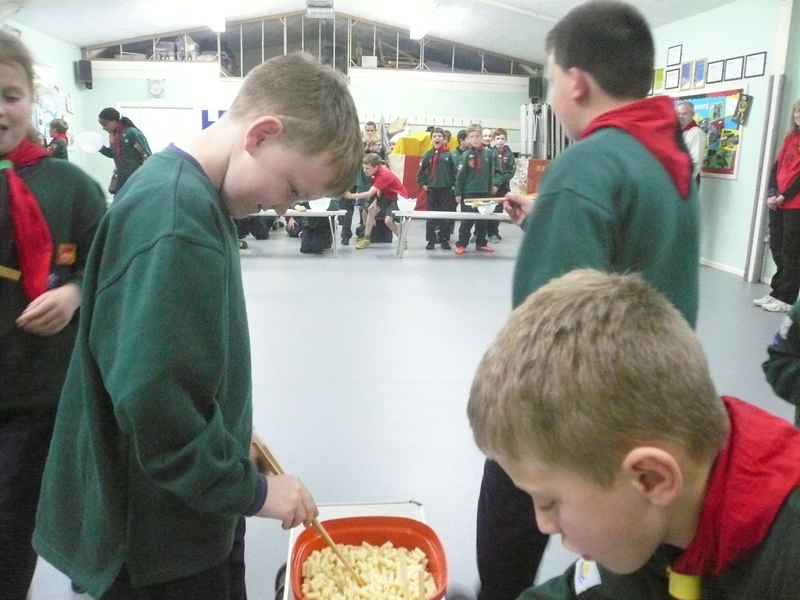 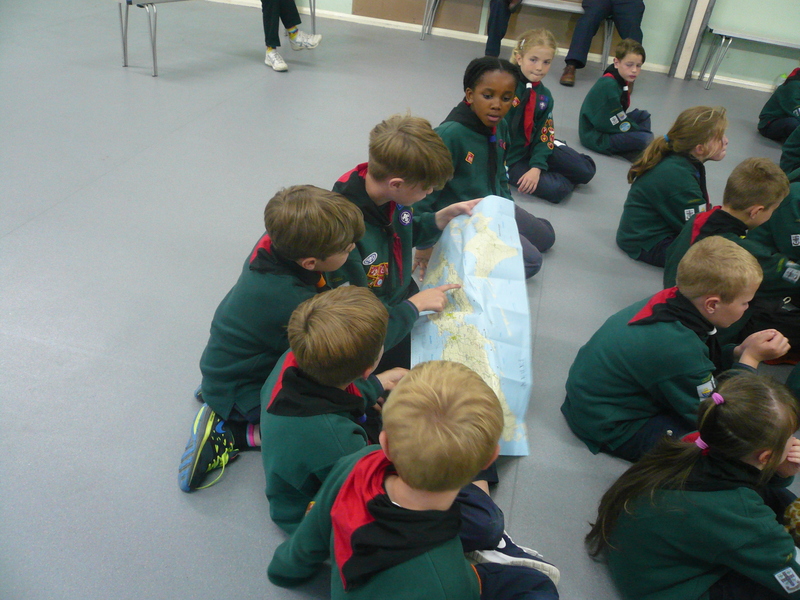 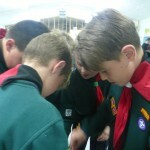 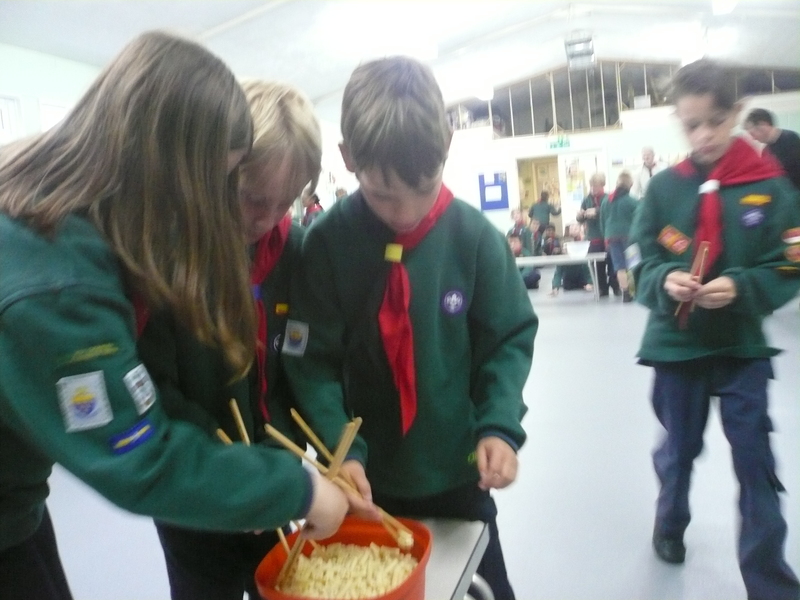 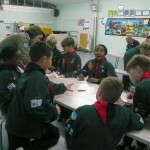 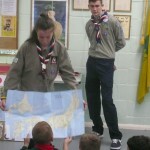 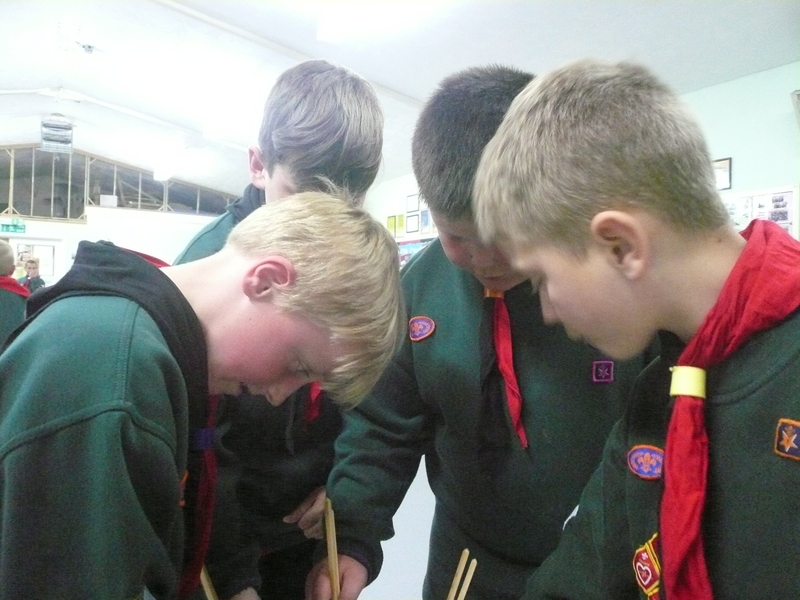 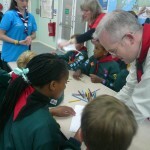 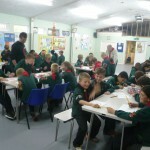 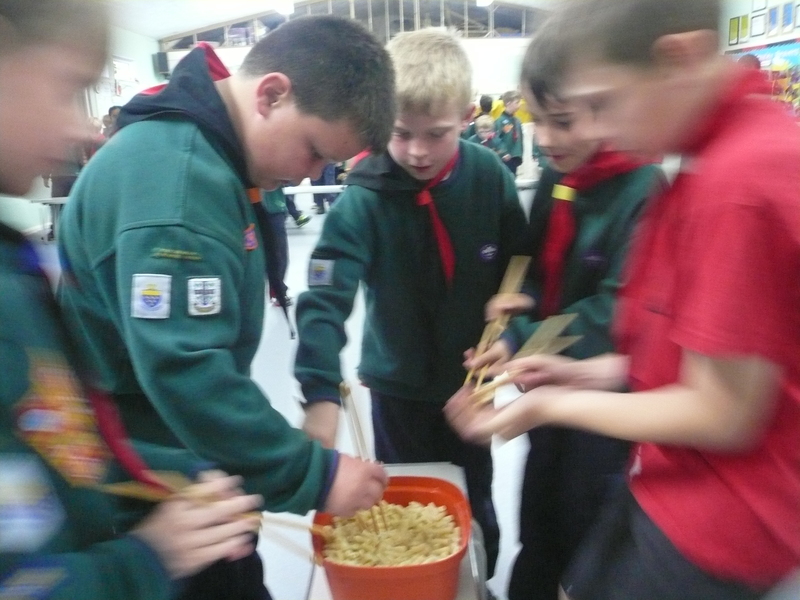 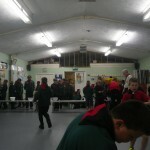 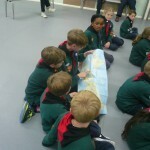 Maps were passed around and we learnt that the Jamboree is actually being held on a small island specifically set aside for this Scouting purpose. 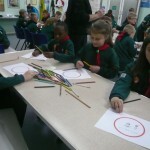 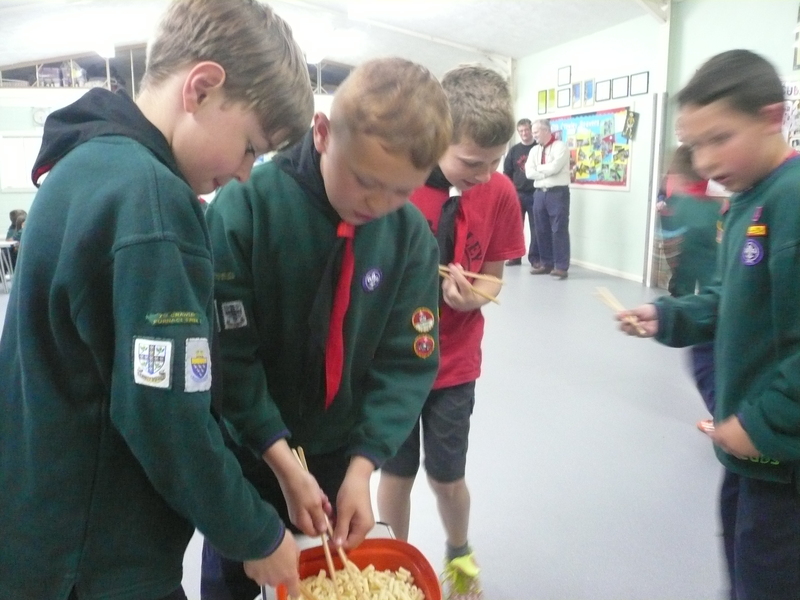 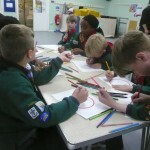 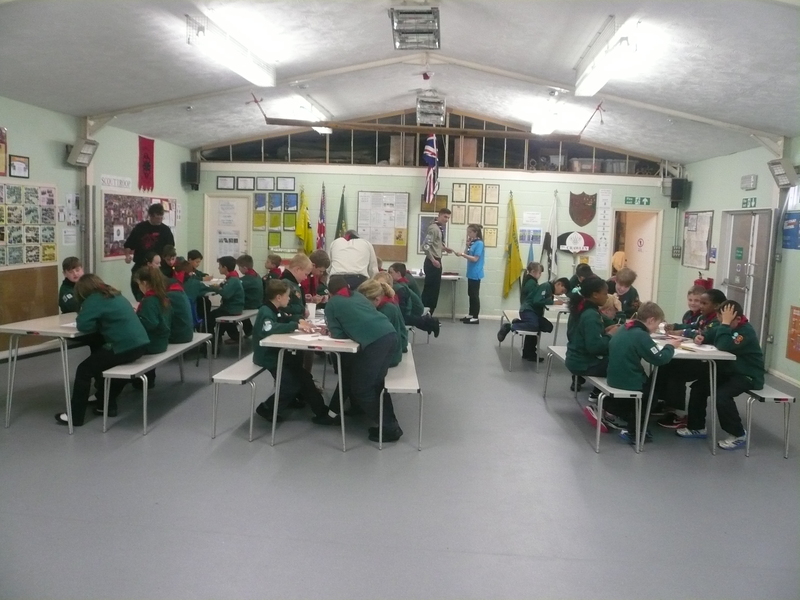 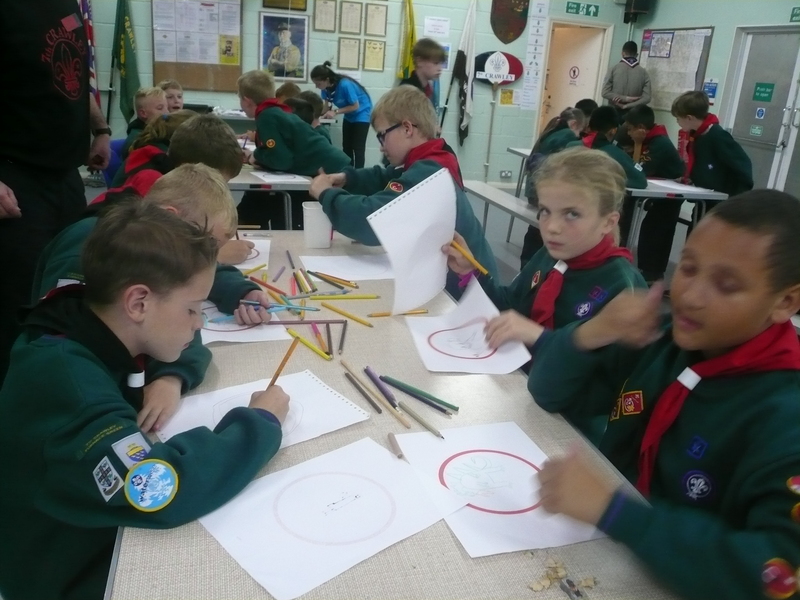 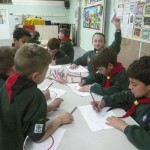 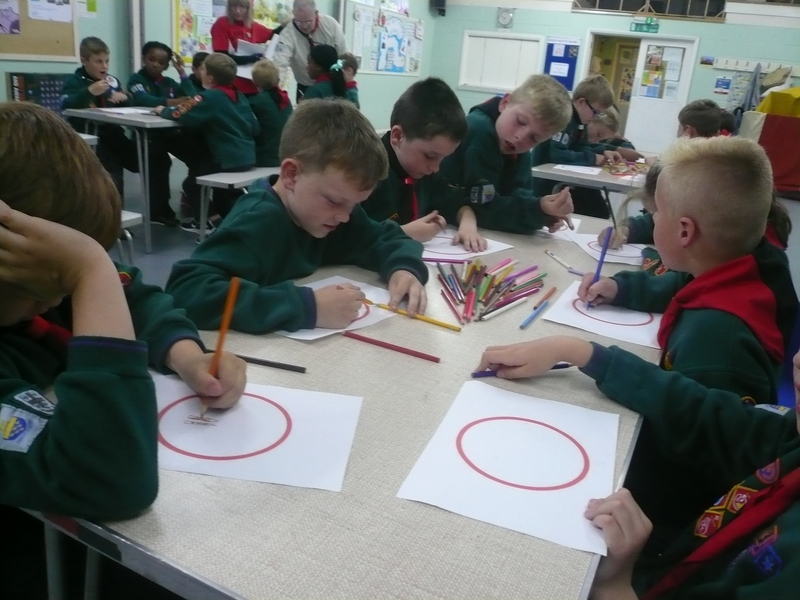 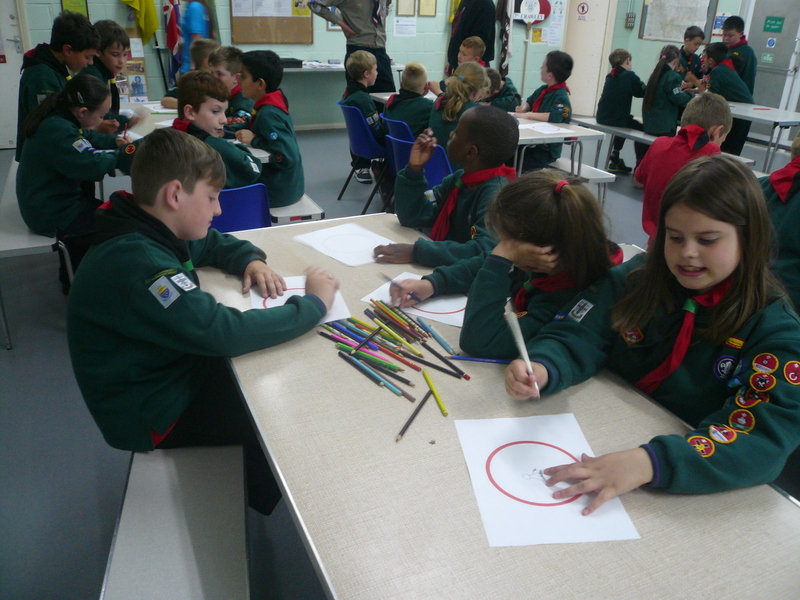 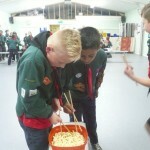 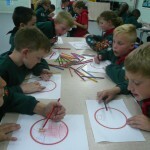 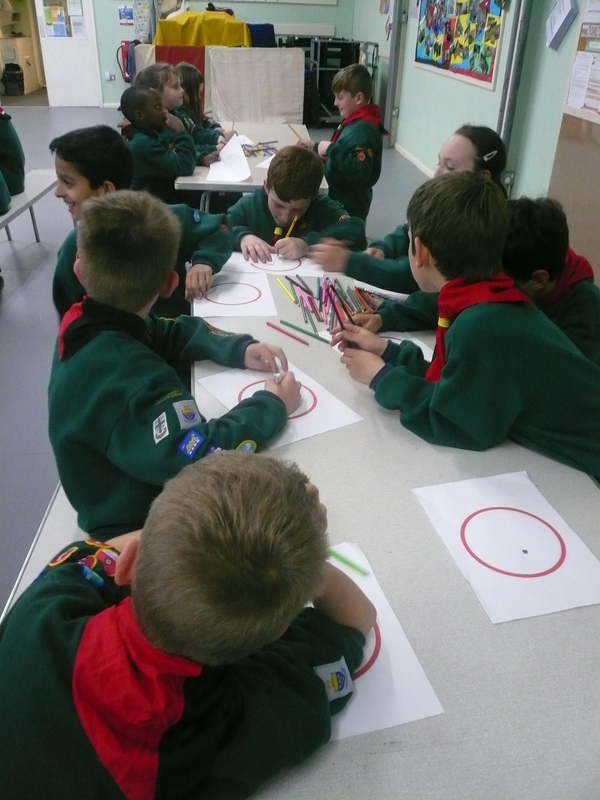 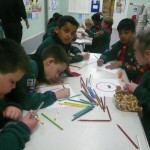 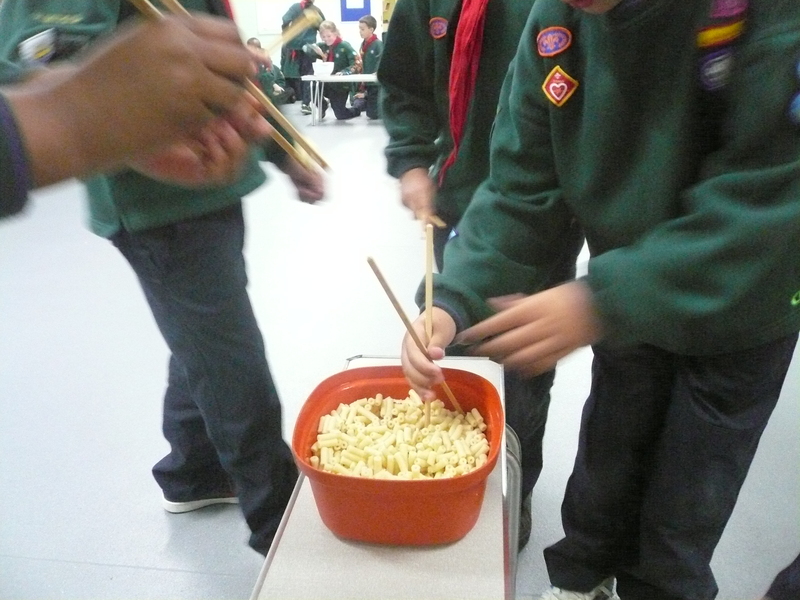 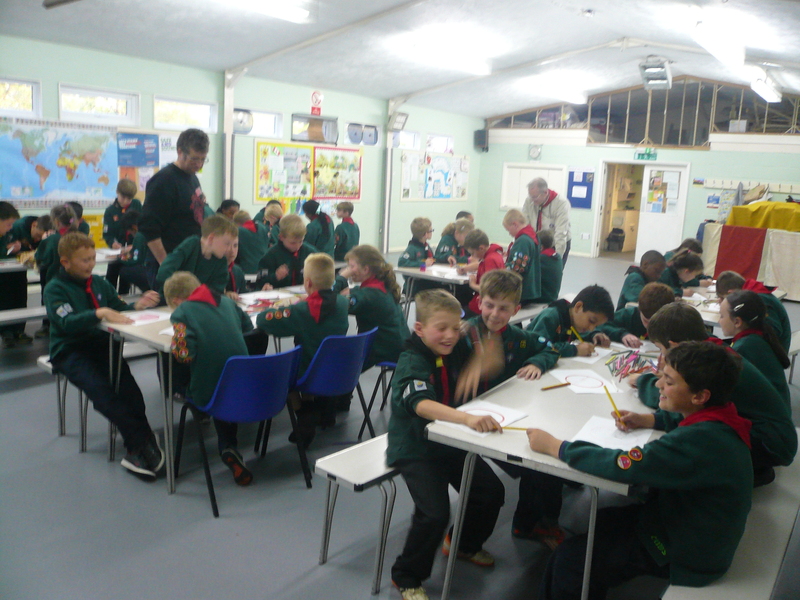 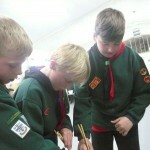 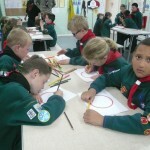 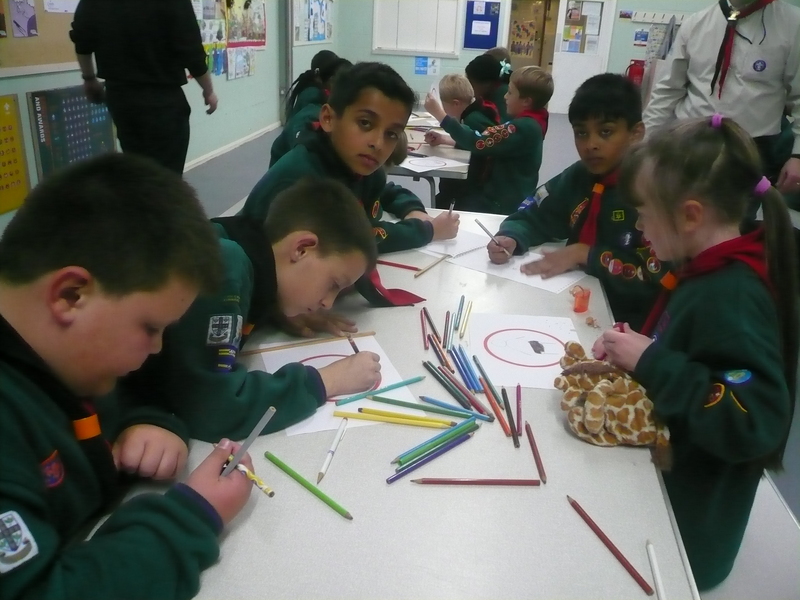 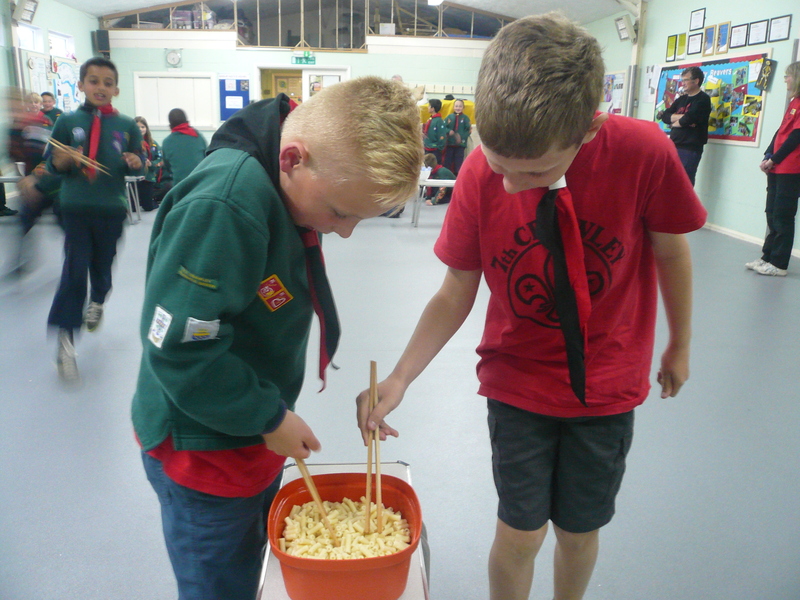 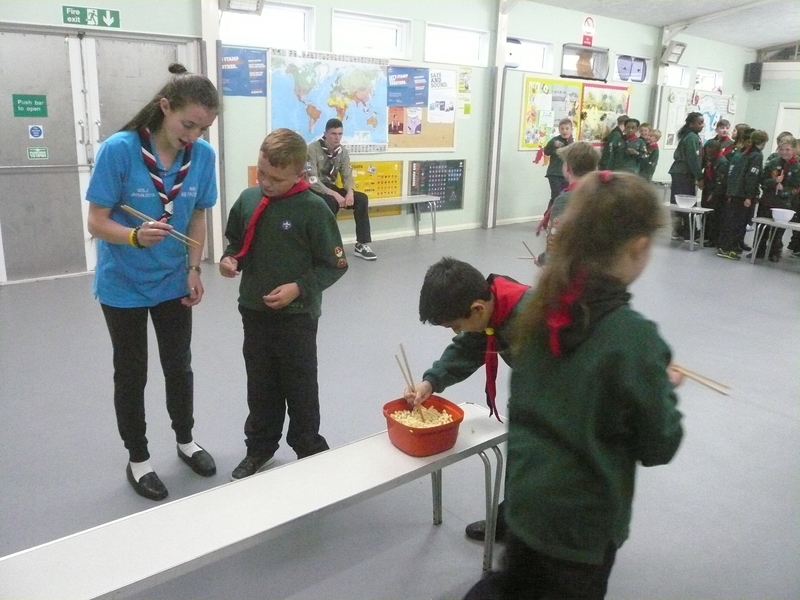 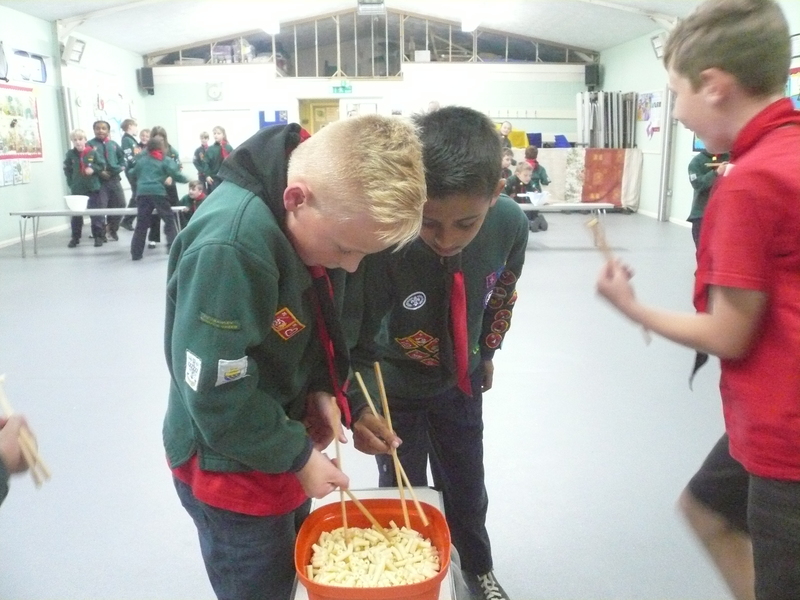 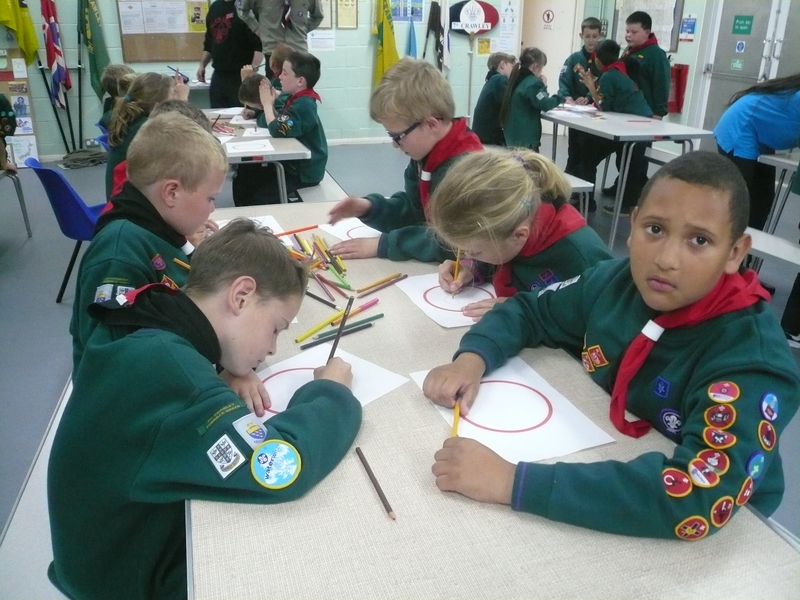 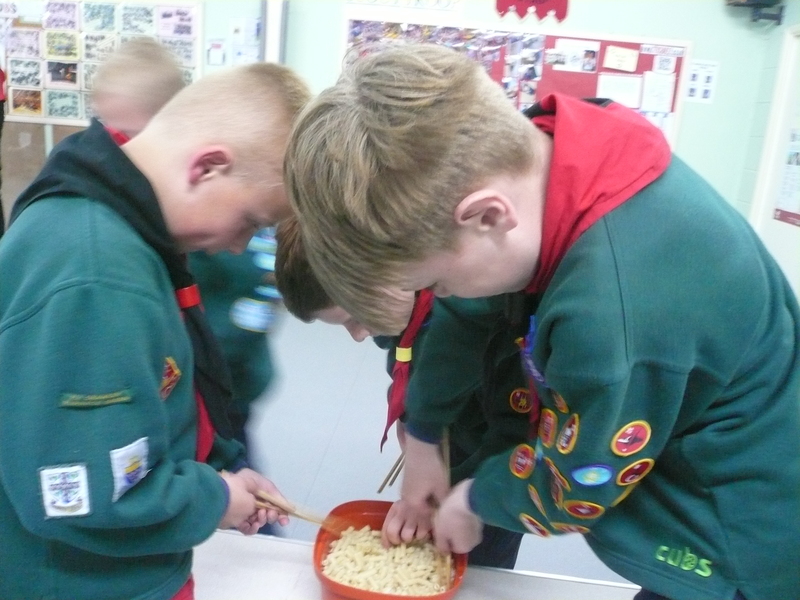 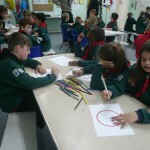 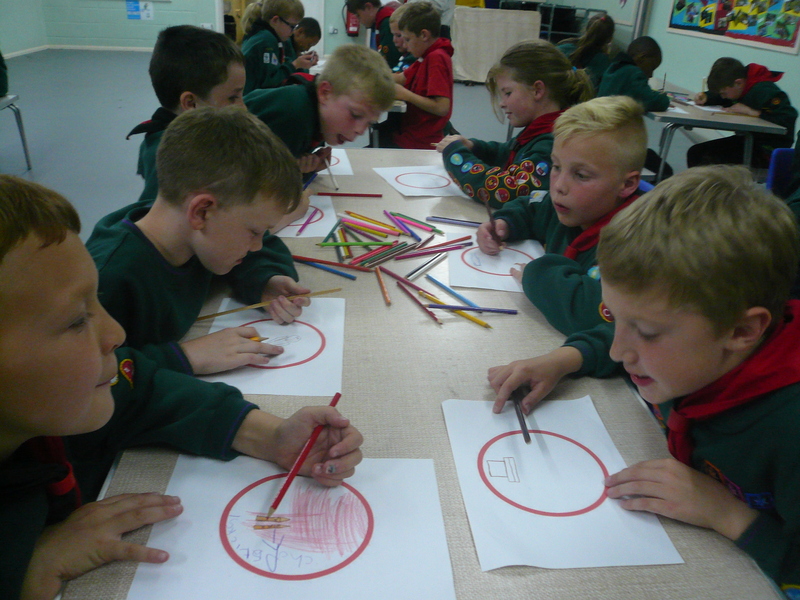 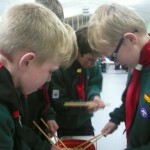 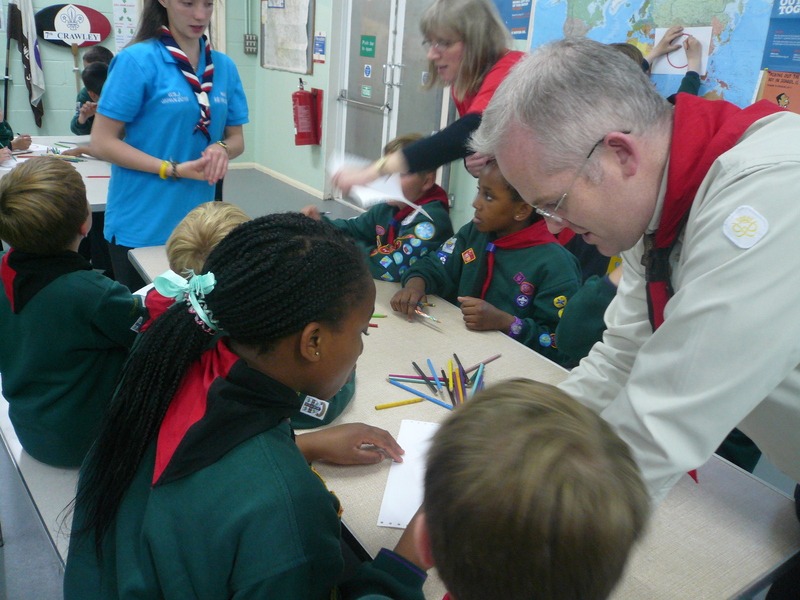 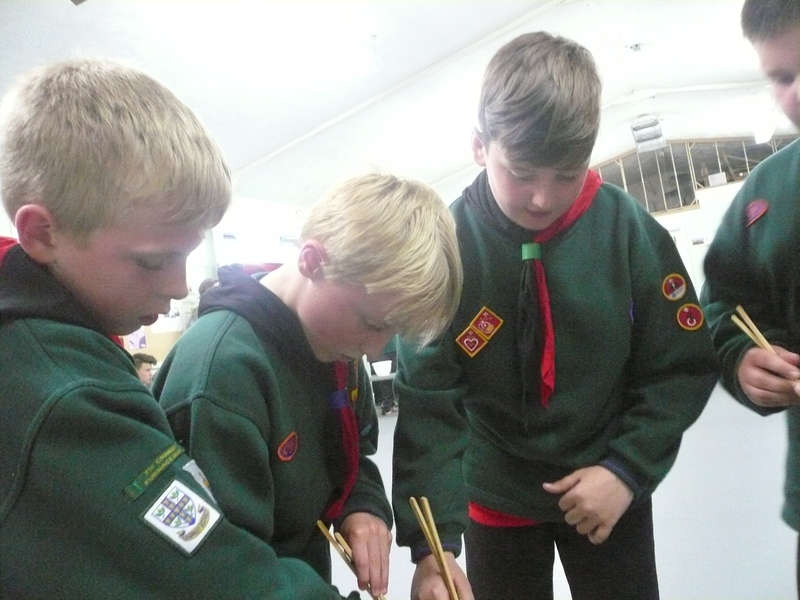 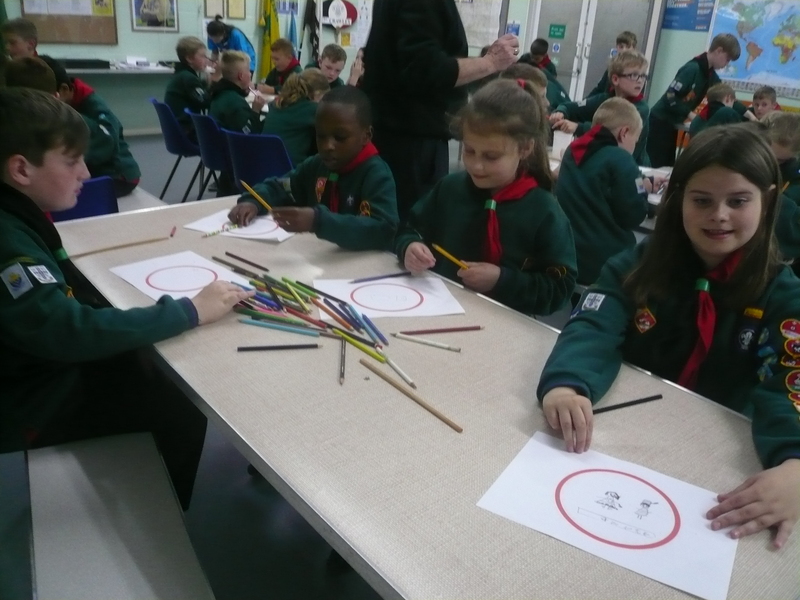 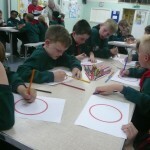 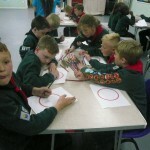 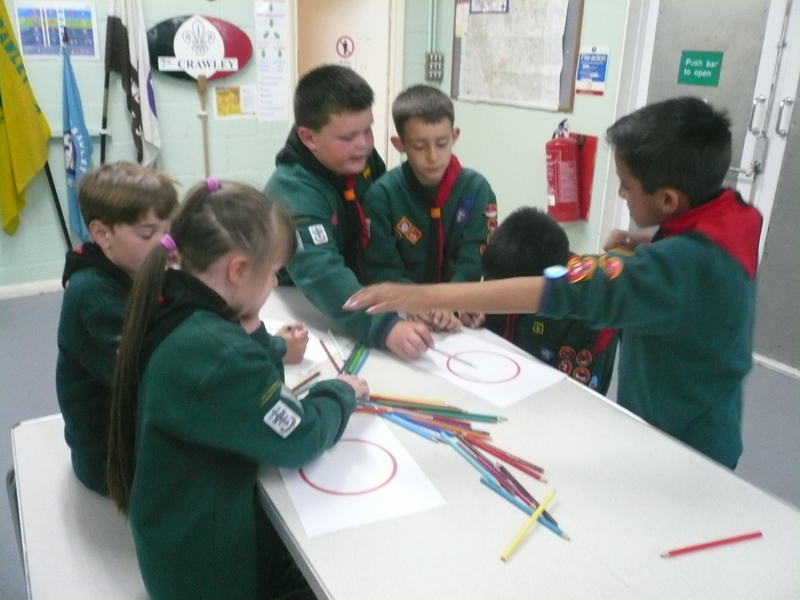 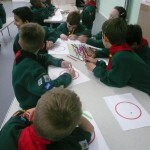 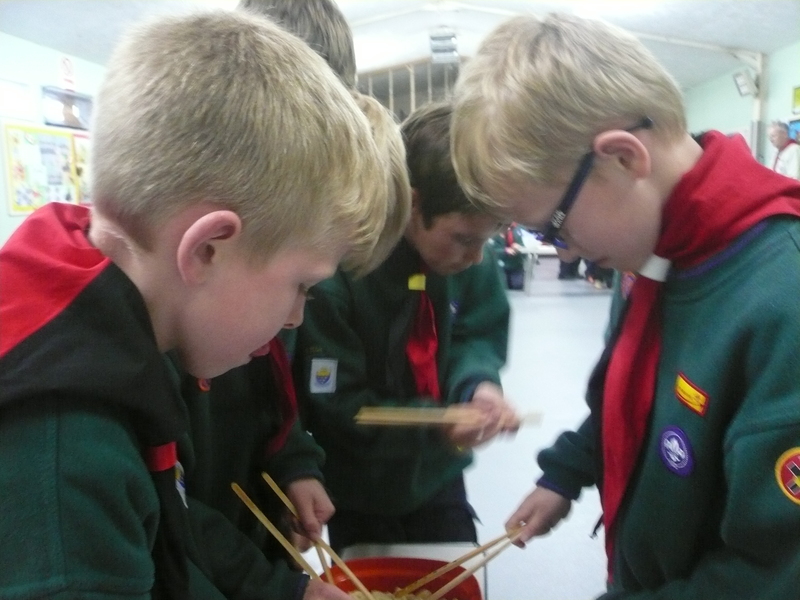 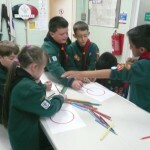 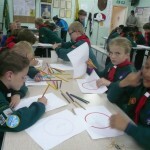 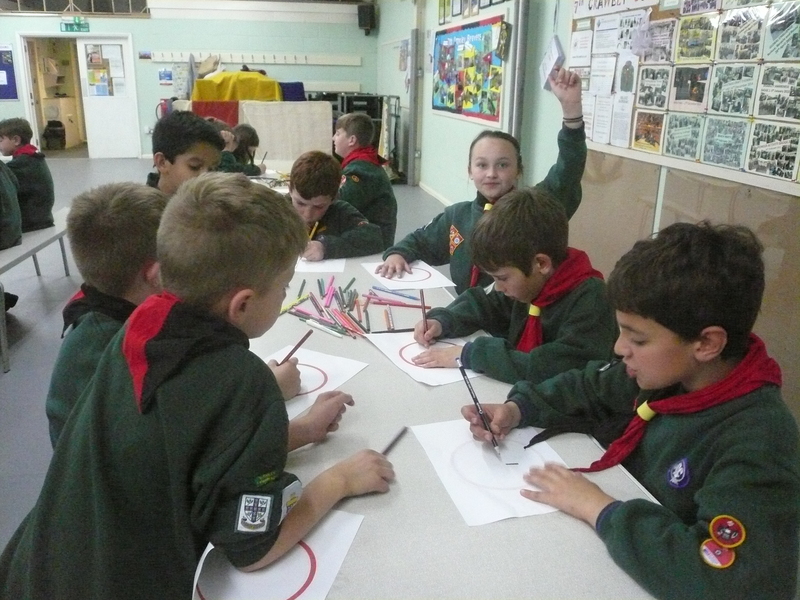 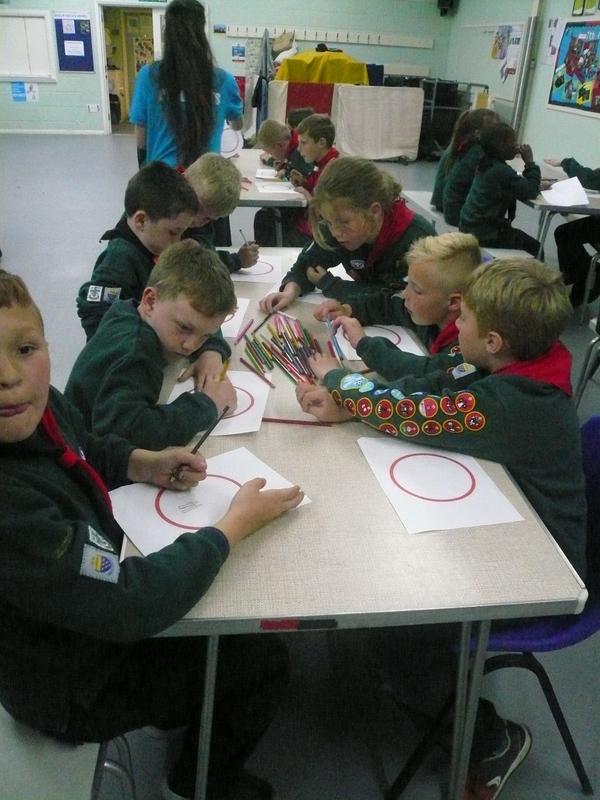 Then the Cubs were given an opportunity to practise their artistic talents by drawing anything on a Japanese theme within the red circle of the Japanese flag. 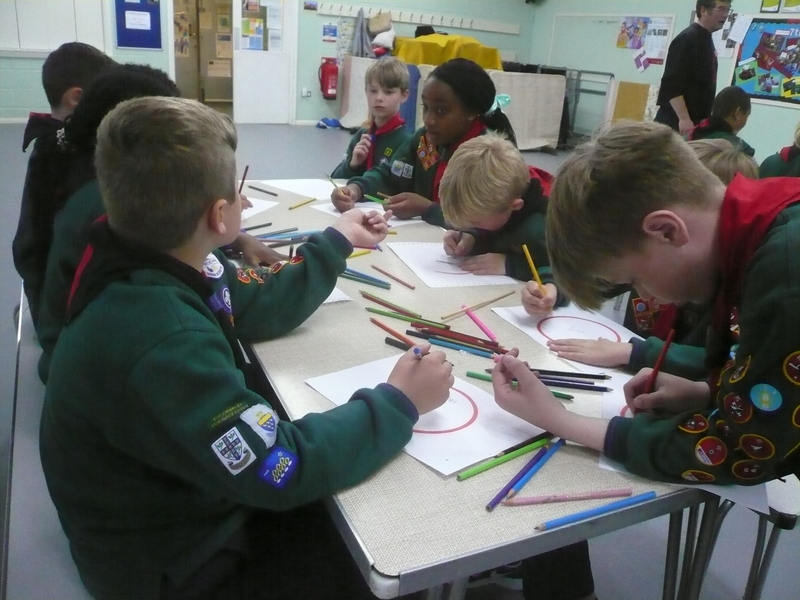 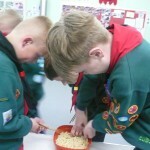 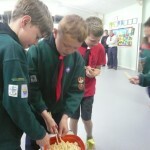 We were all extremely impressed by the diversity & imagination of the cubs and I will be displaying their art work at our AGM on Friday 19th June. 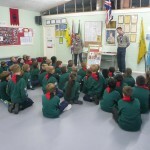 [I hope to see as many of you there as possible to enjoy your children’s work and to be entertained by them as well as partaking in the BBQ courtsey of our Troop. 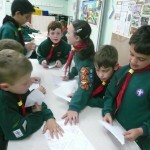 Letters have been sent out but if you haven’t received one please get in touch]. 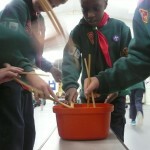 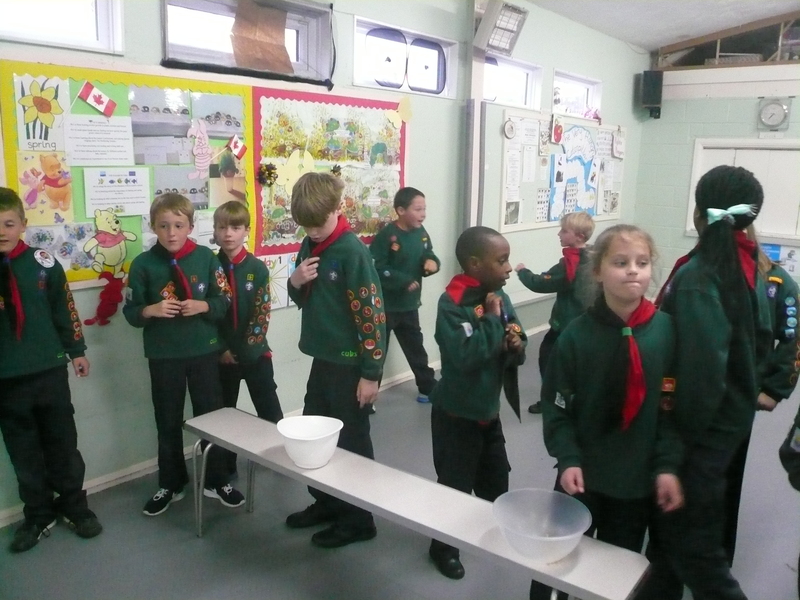 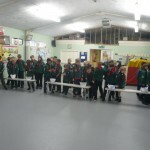 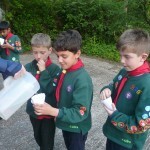 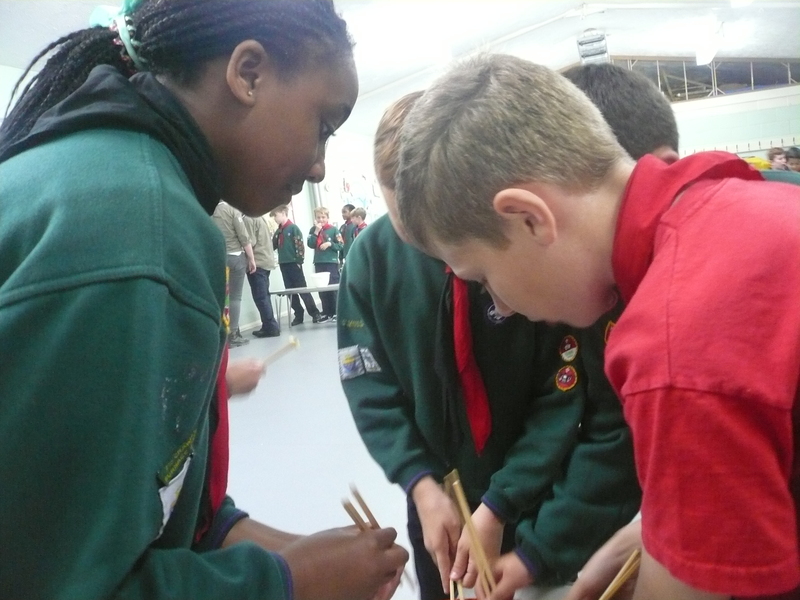 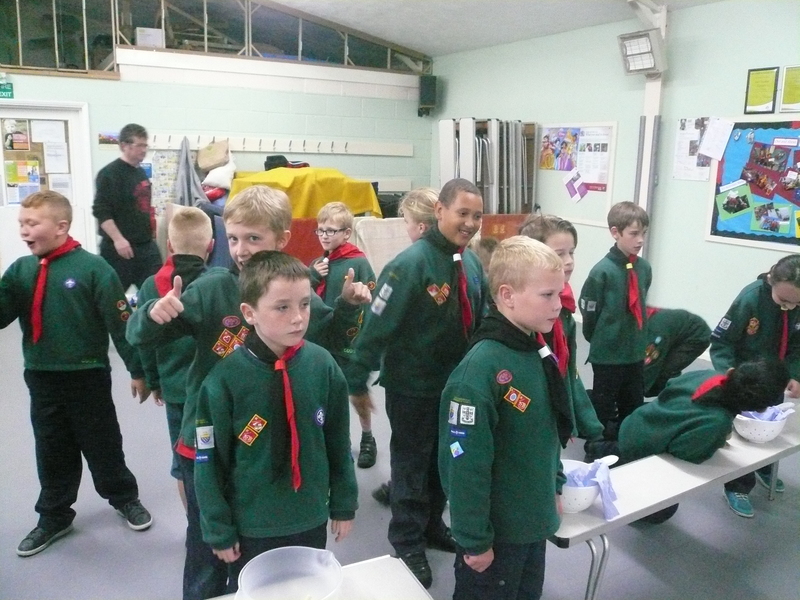 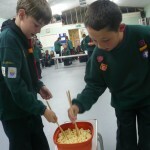 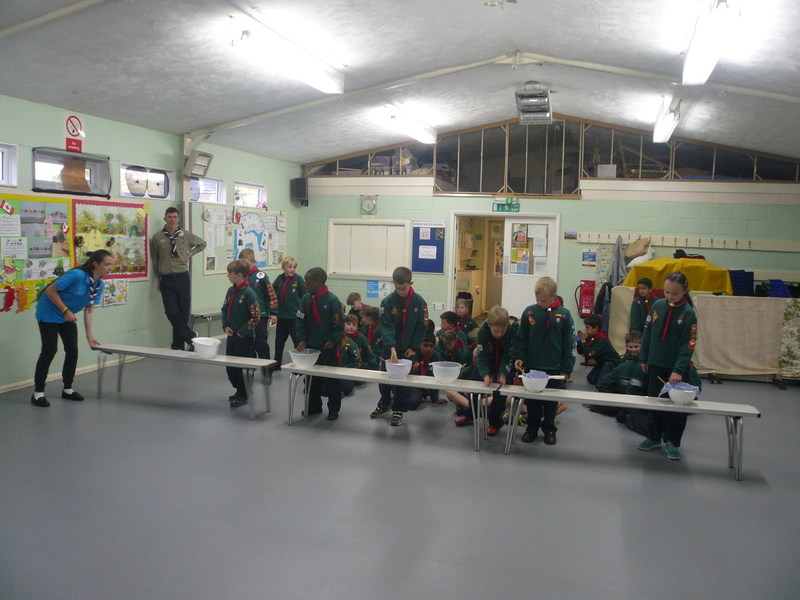 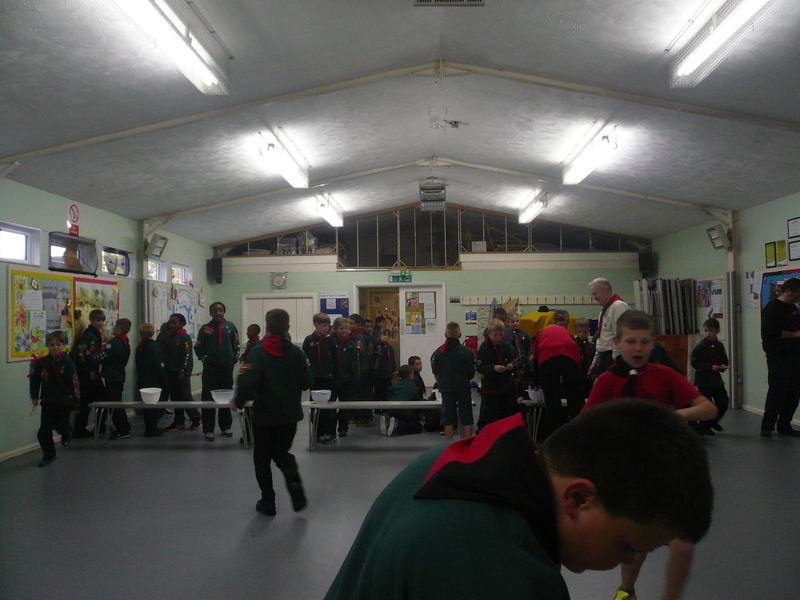 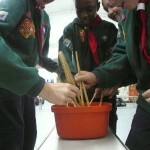 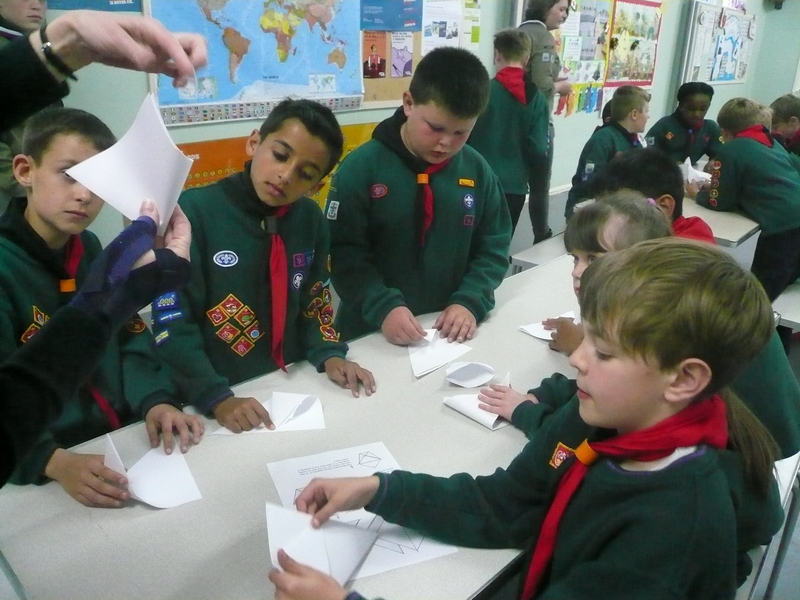 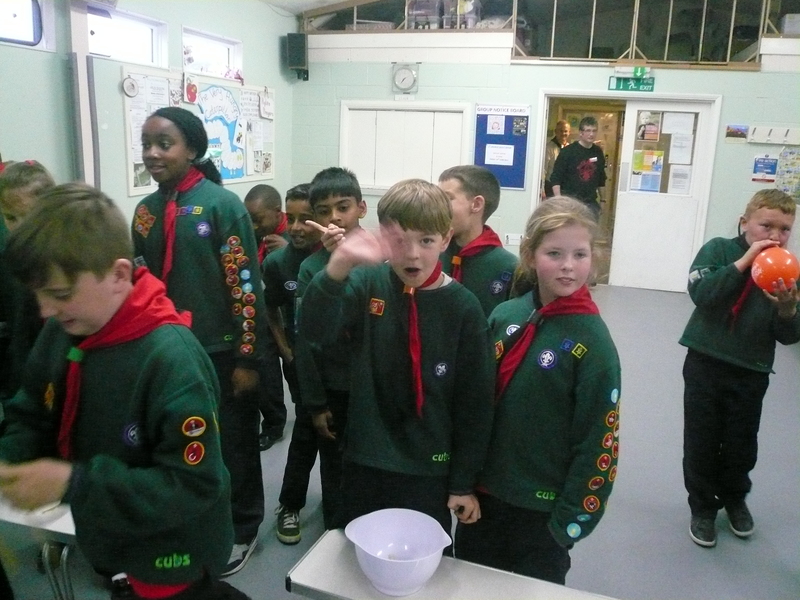 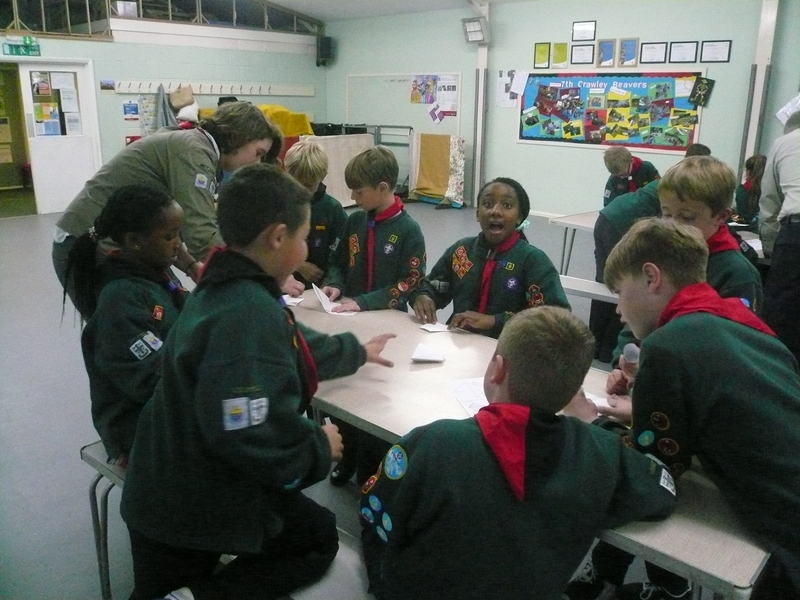 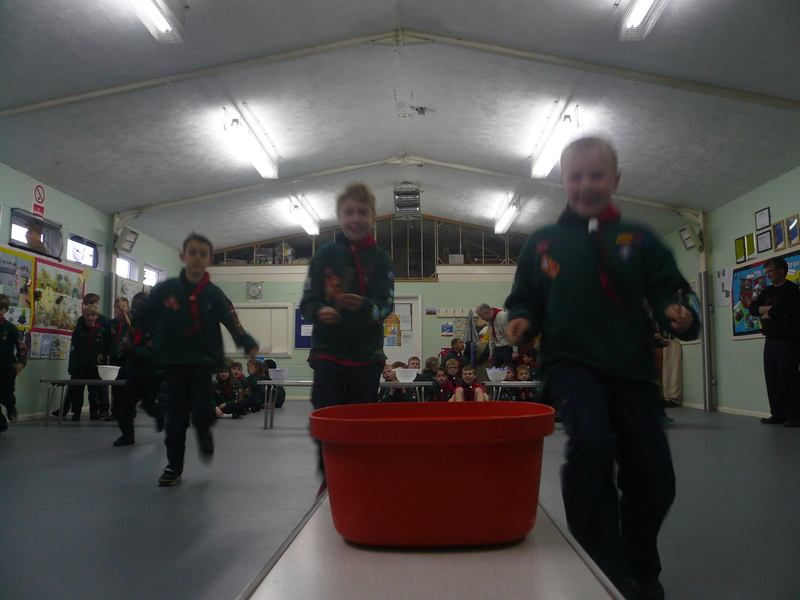 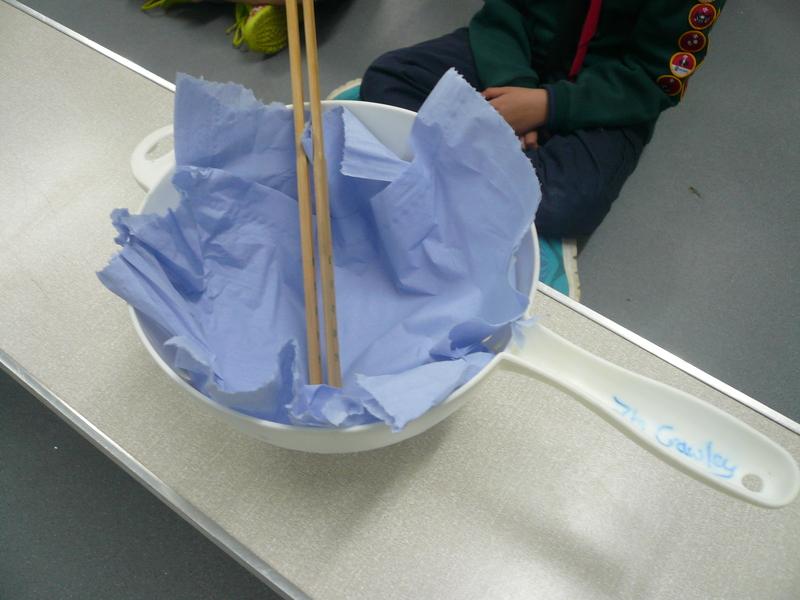 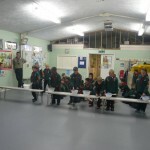 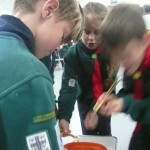 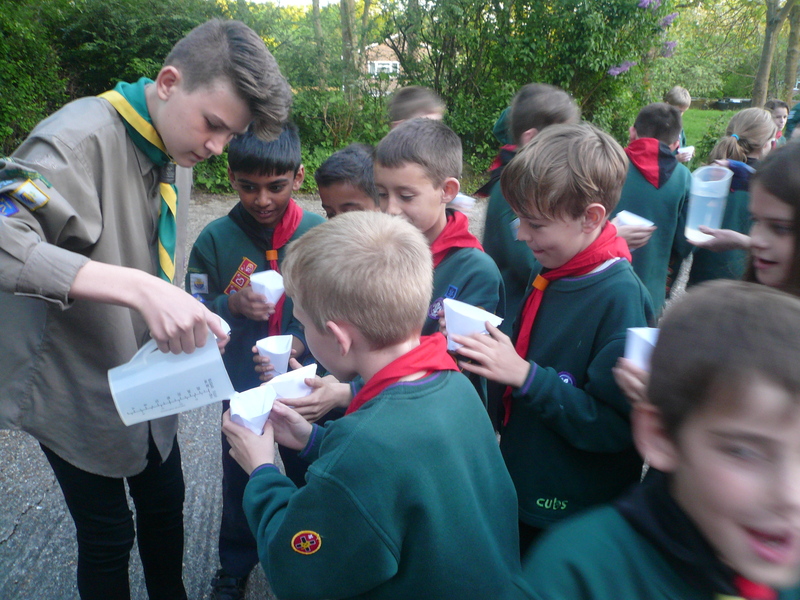 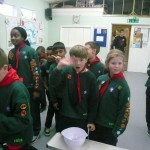 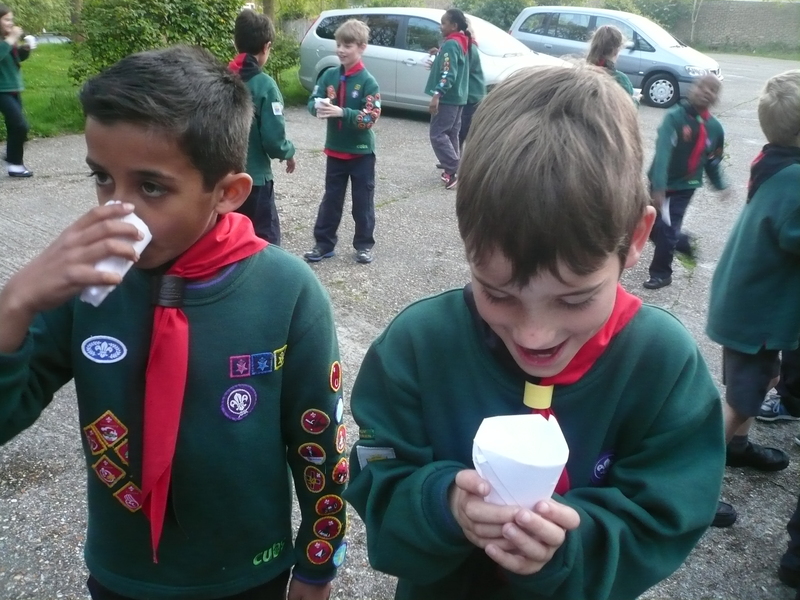 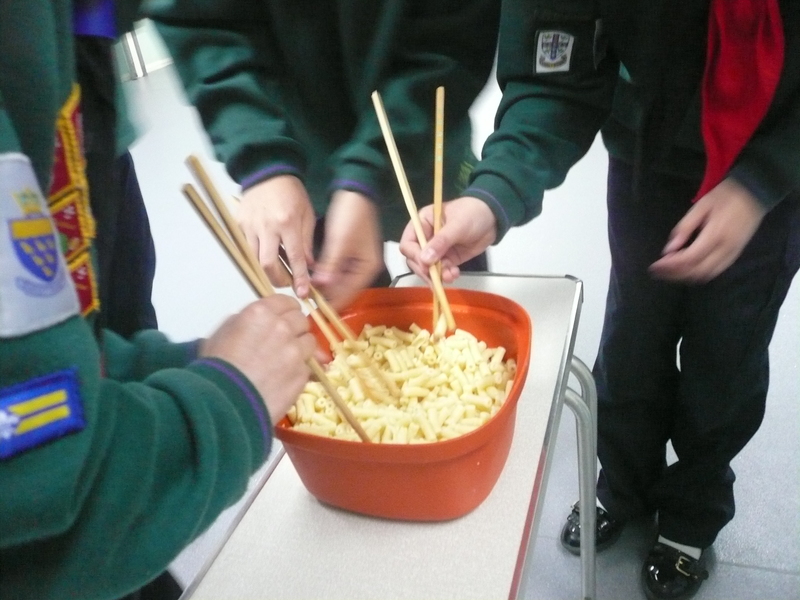 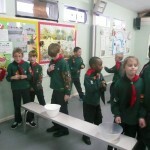 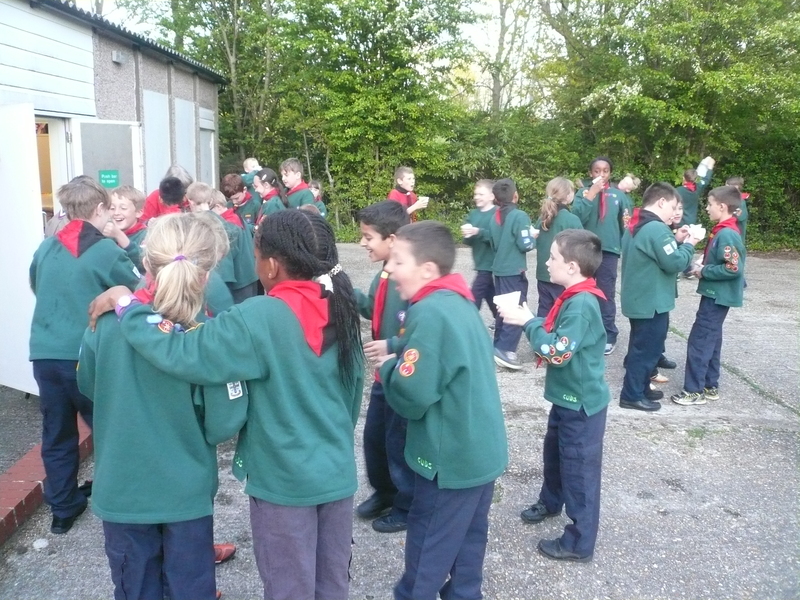 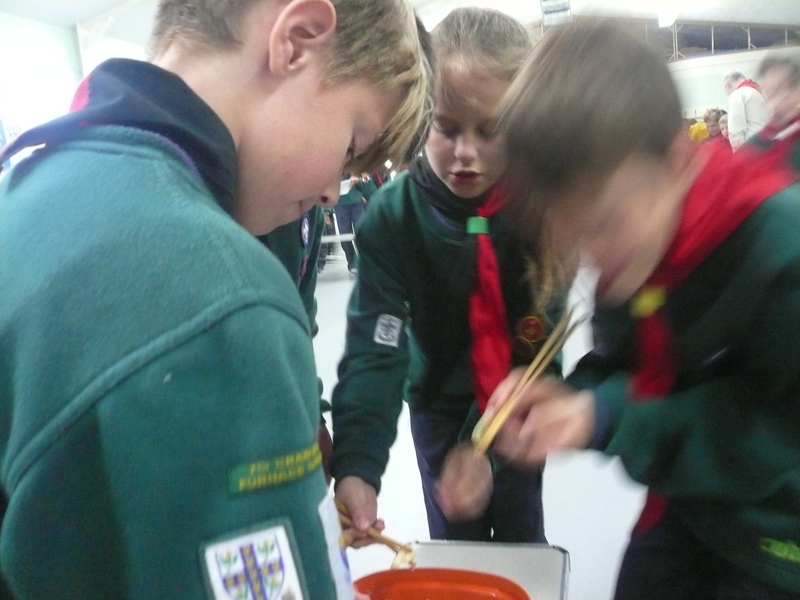 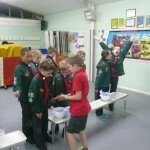 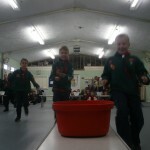 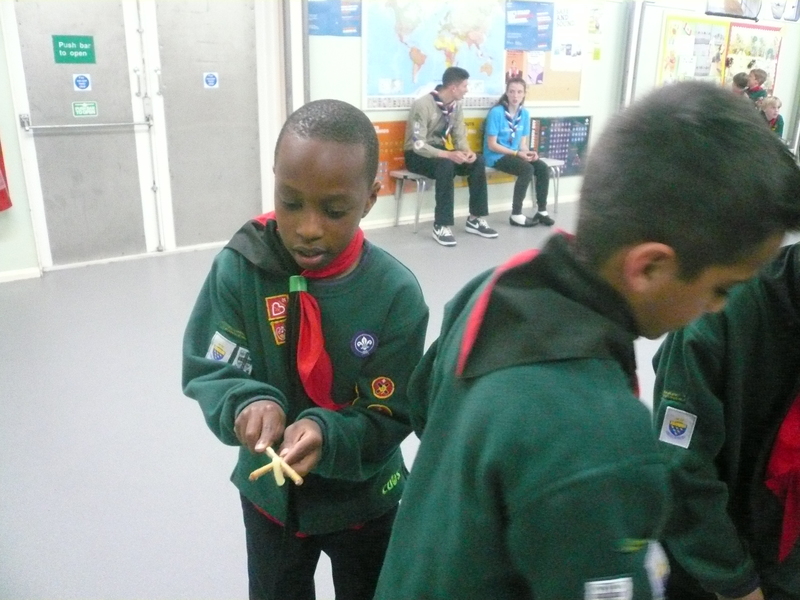 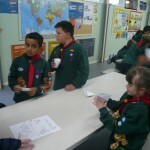 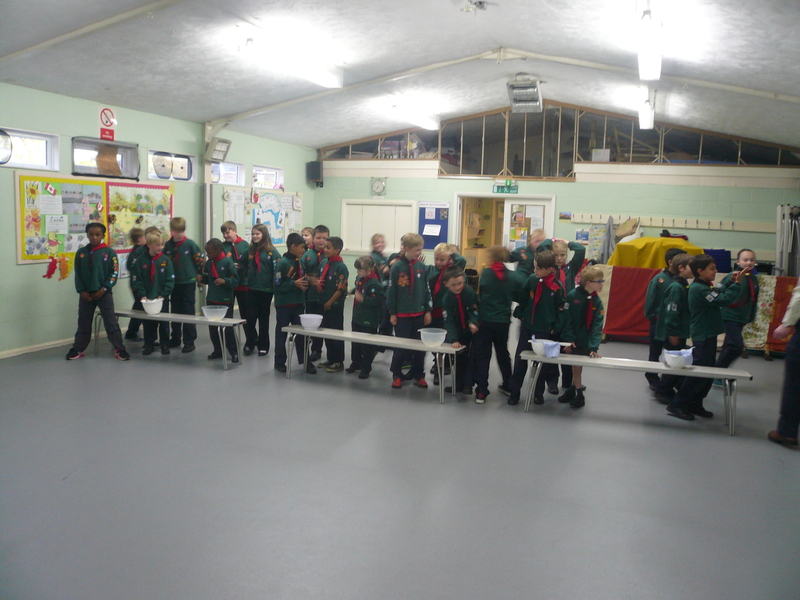 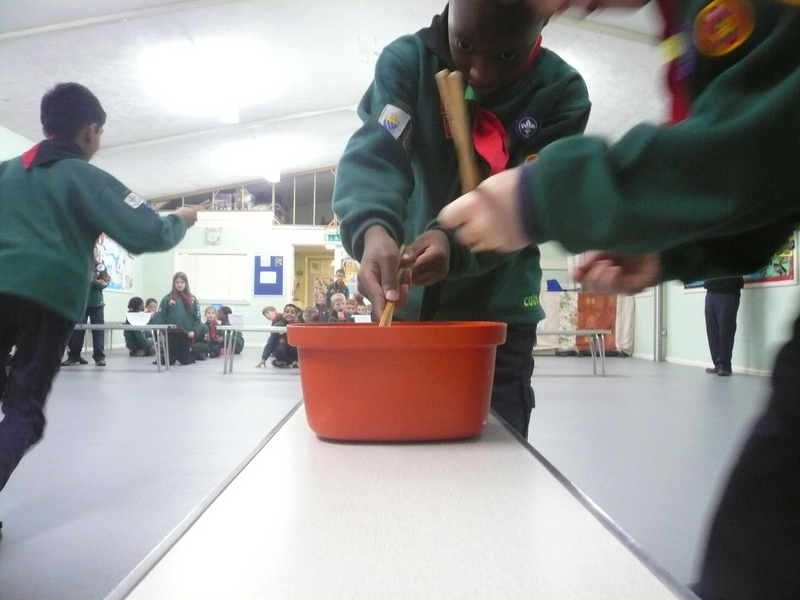 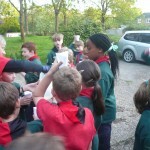 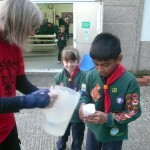 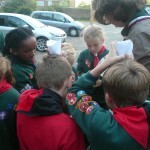 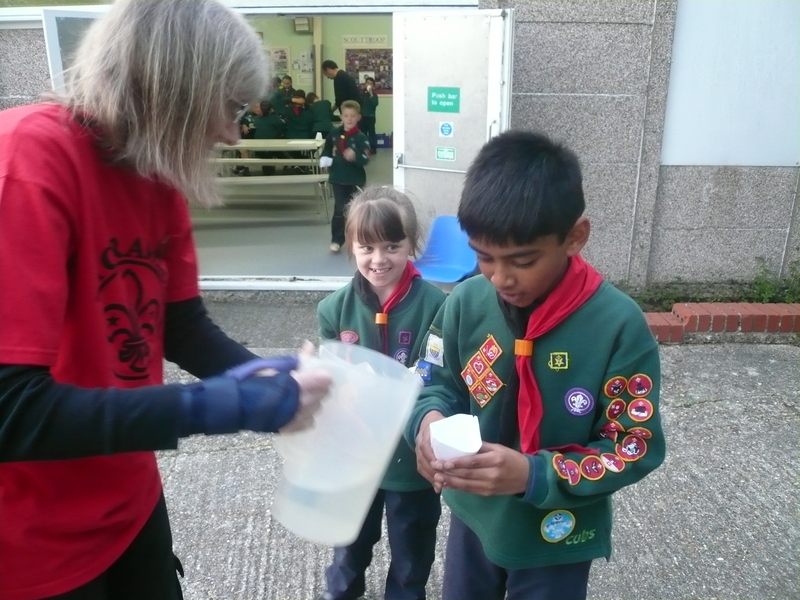 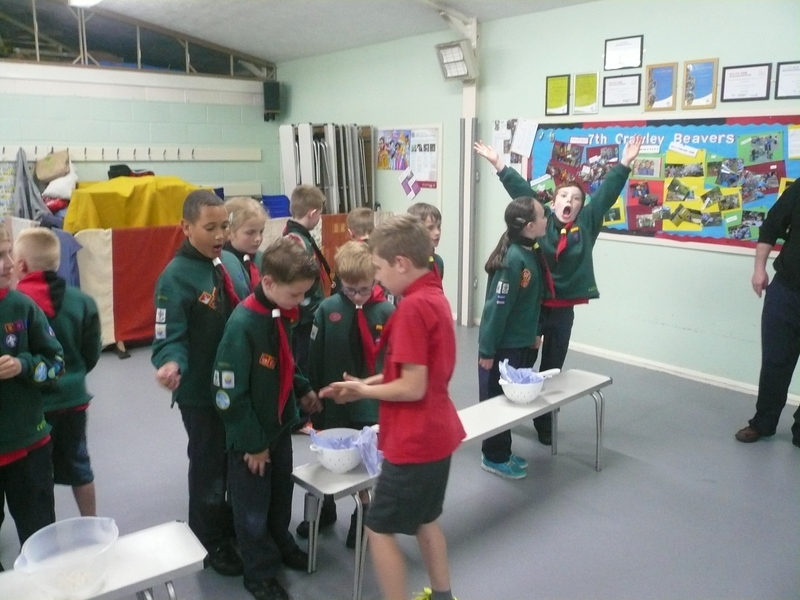 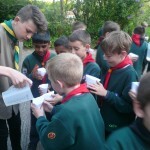 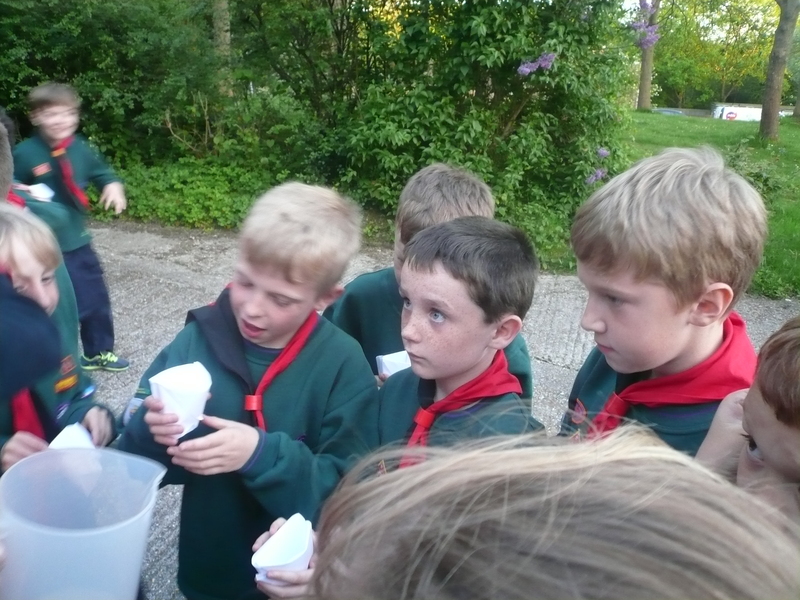 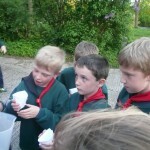 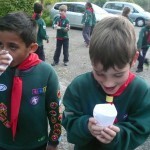 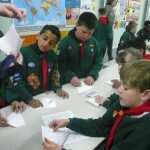 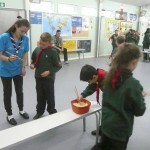 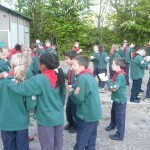 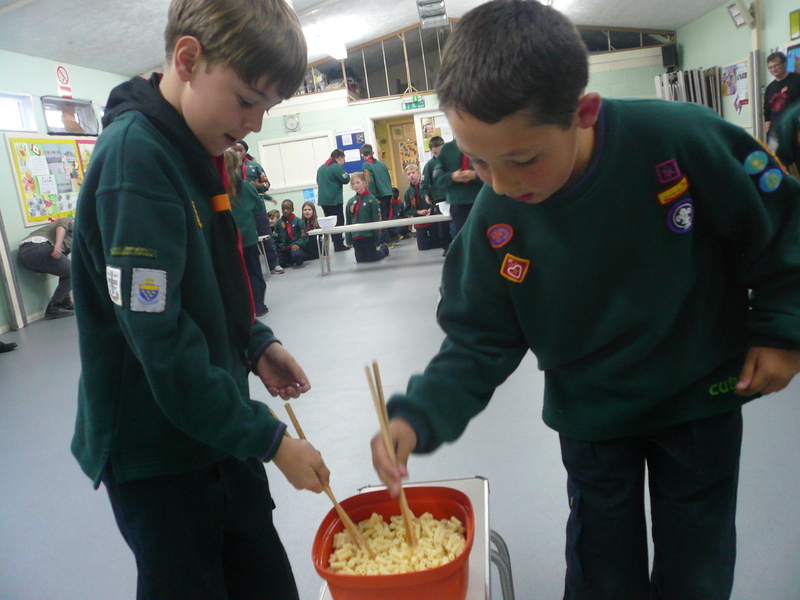 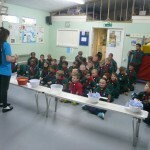 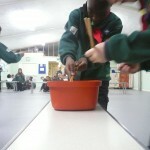 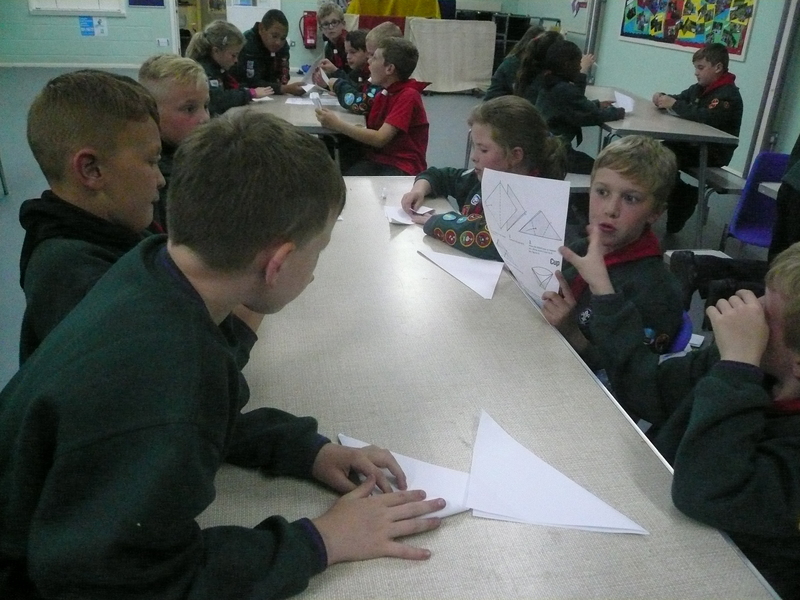 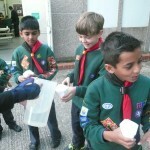 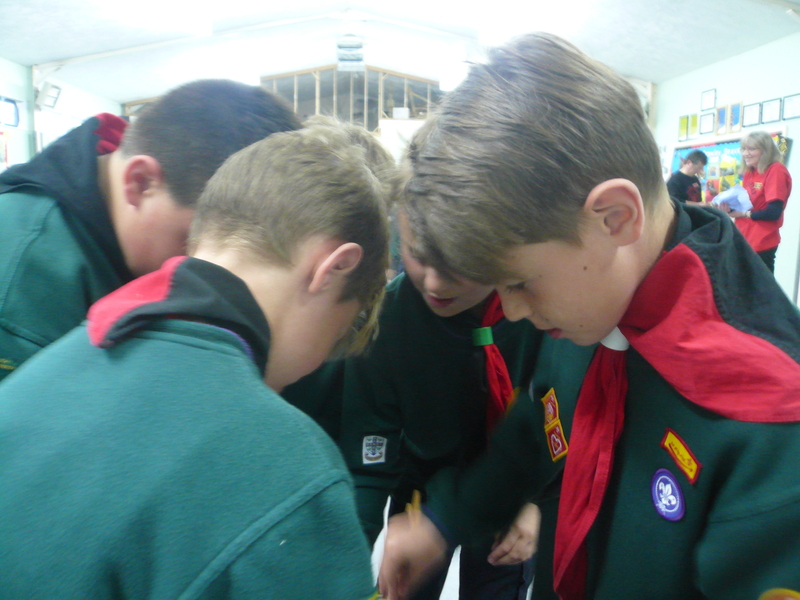 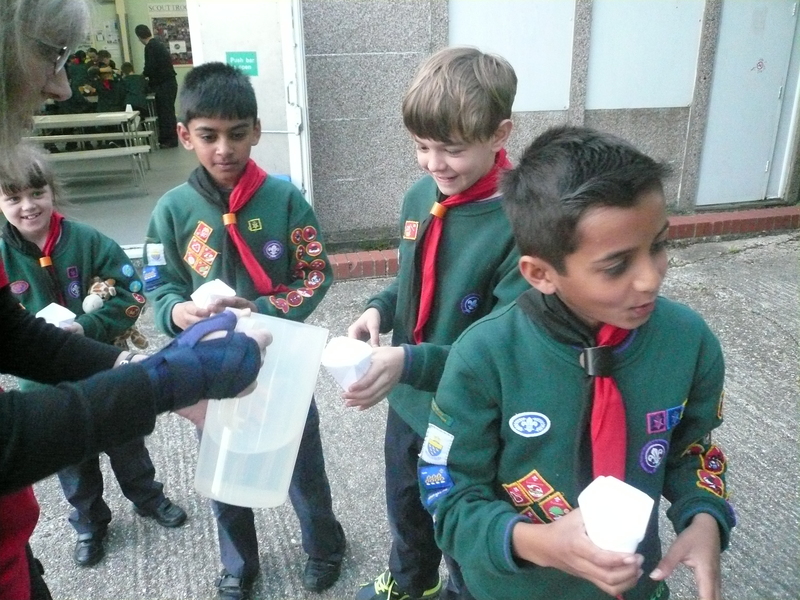 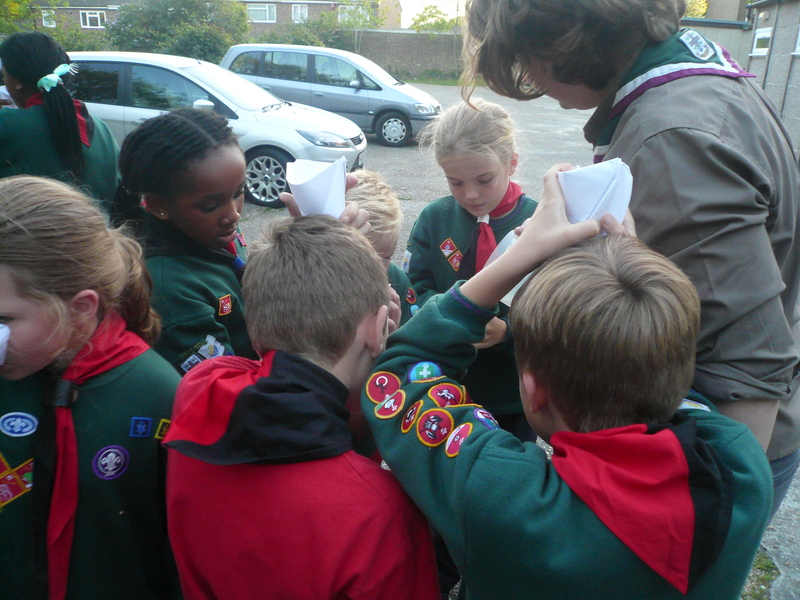 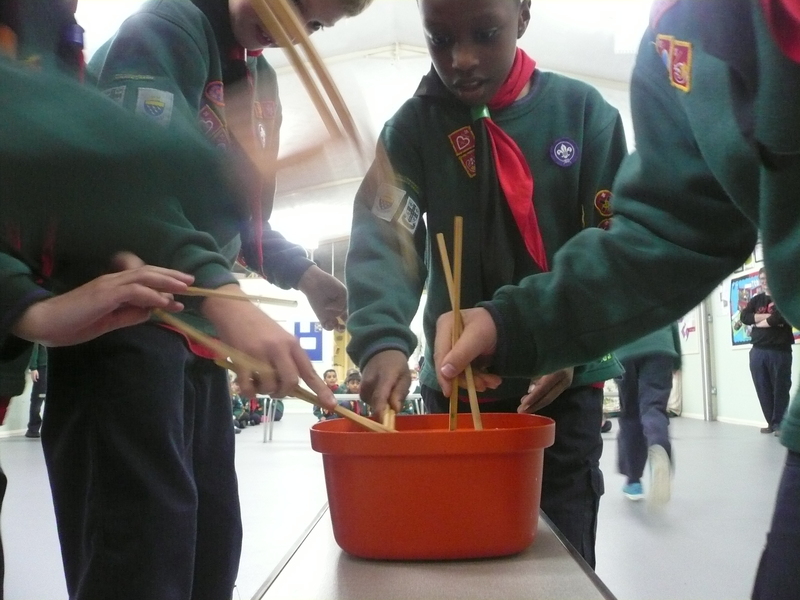 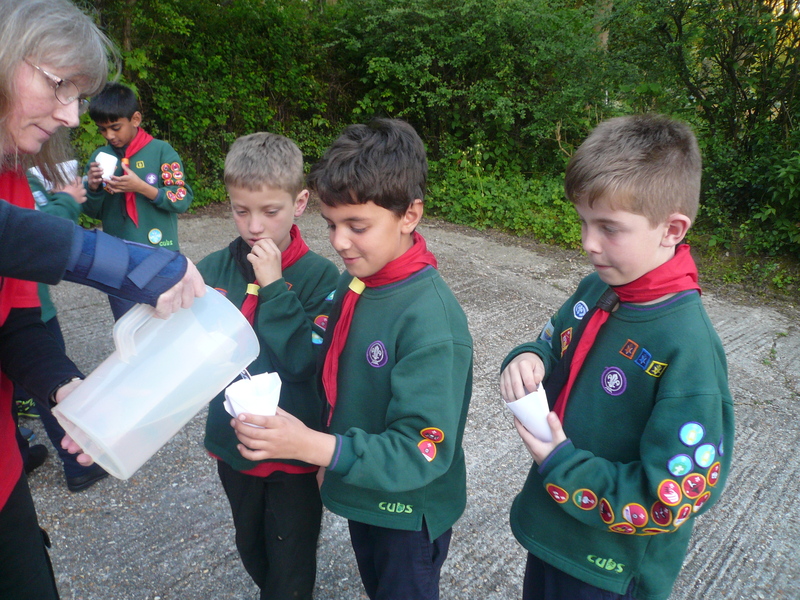 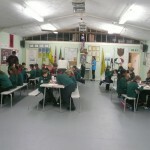 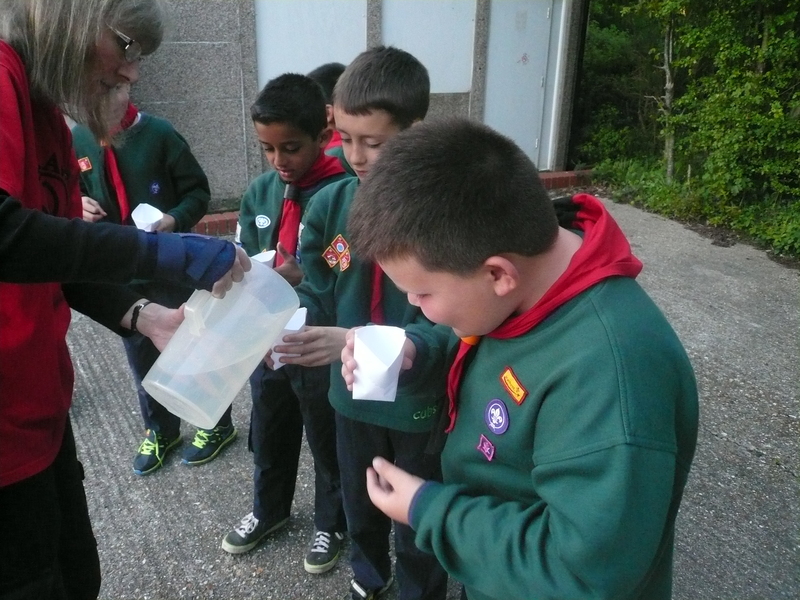 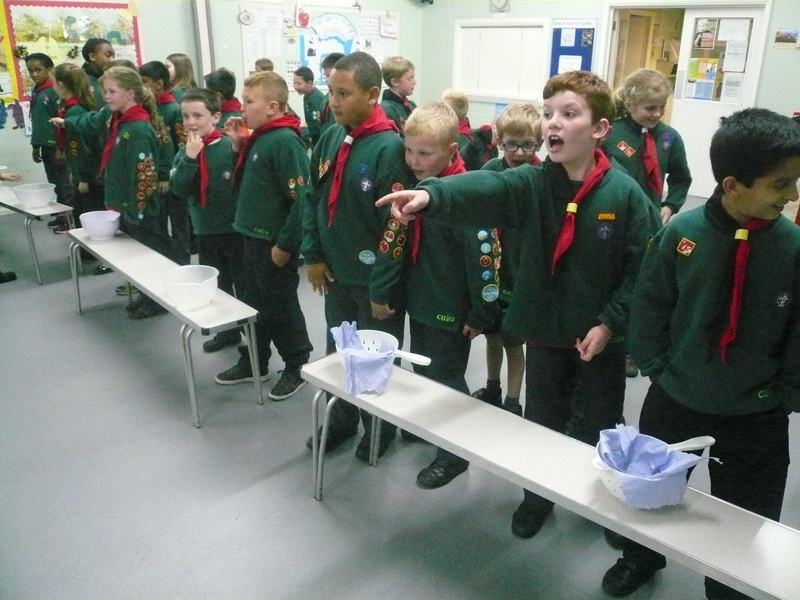 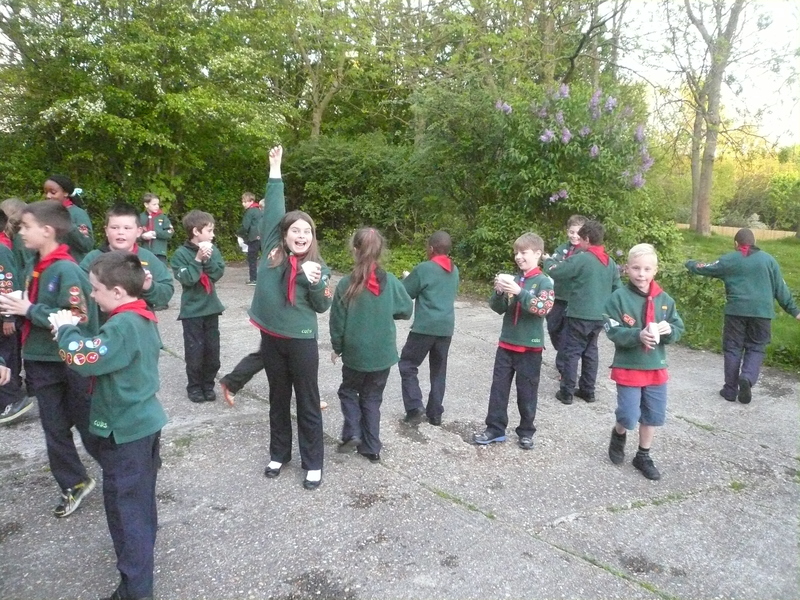 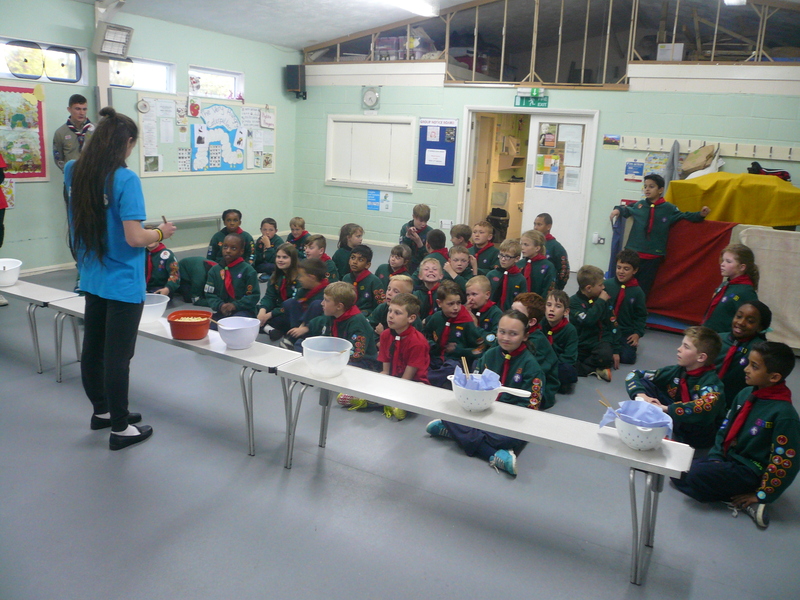 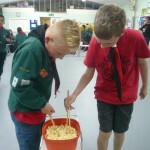 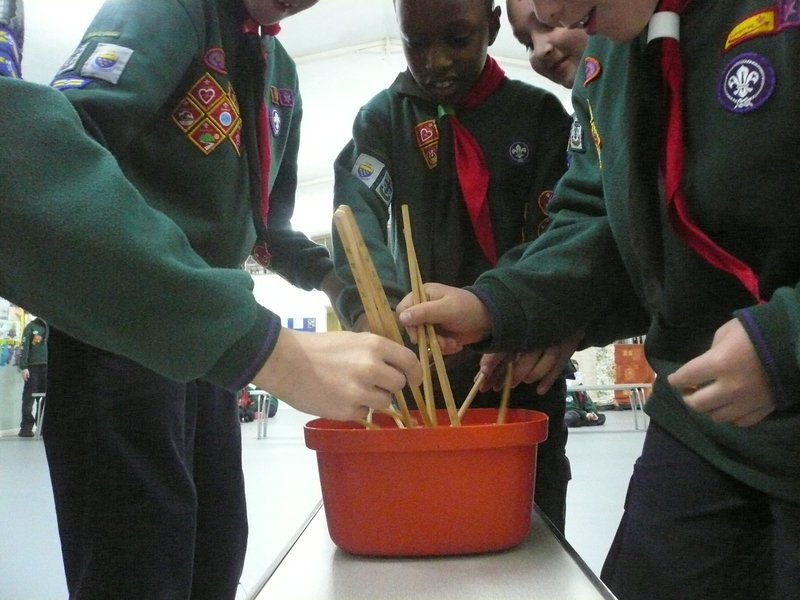 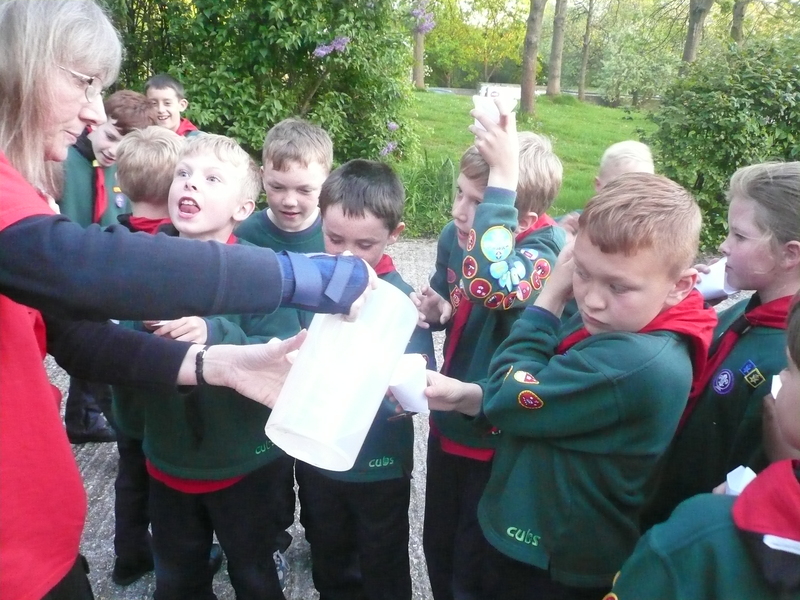 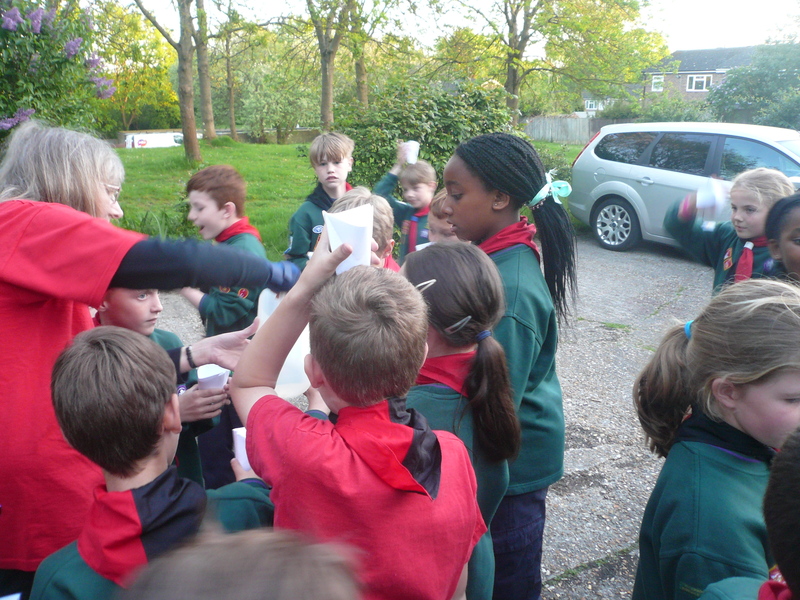 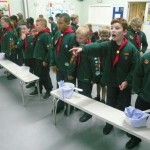 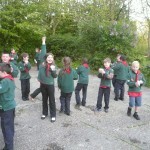 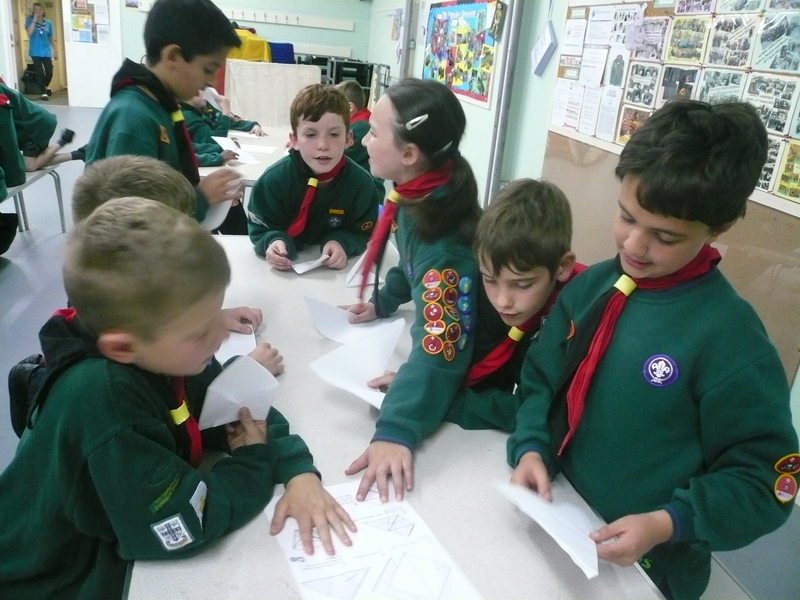 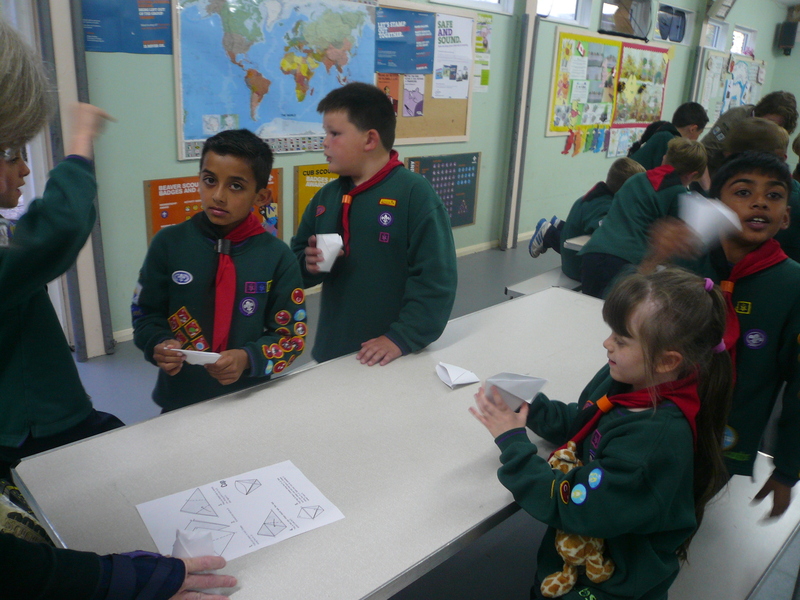 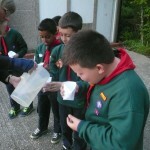 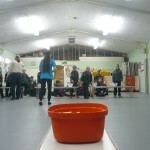 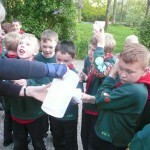 Finally, in true Japanese style, the cubs had a go in the art of paper folding (Origami) and made paper cups which we then tested, in true 7th Crawley style, outside with “real water!” as one cub so elequently put it! 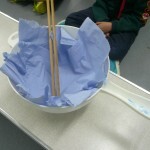 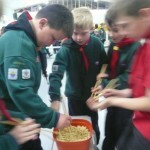 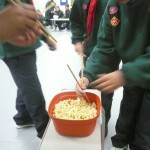 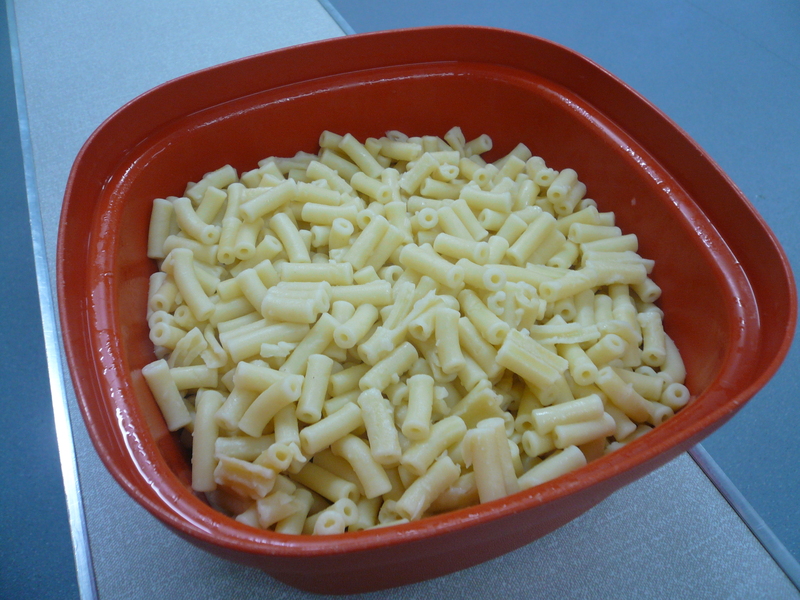 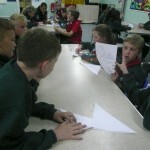 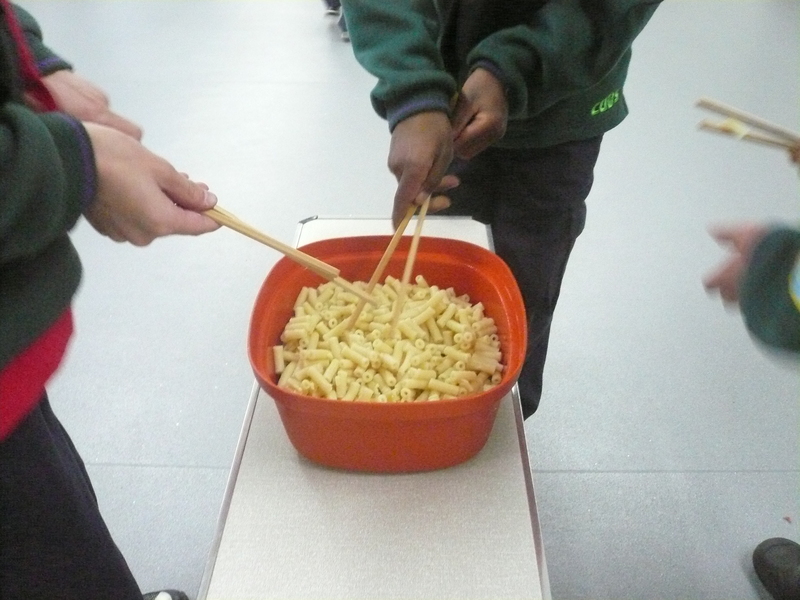 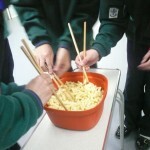 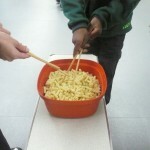 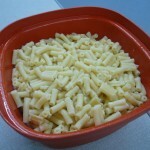 Please click here if you would like to download the instructions for this activity. 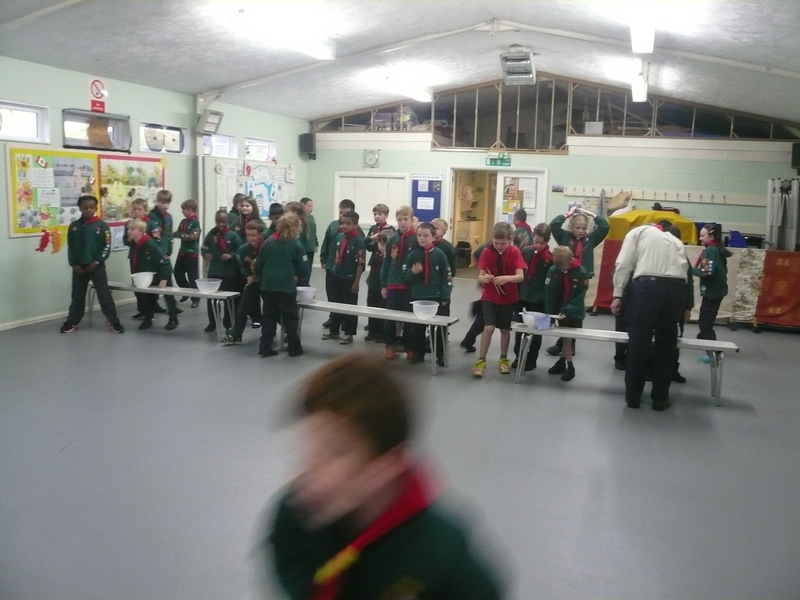 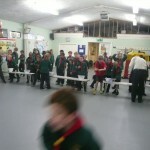 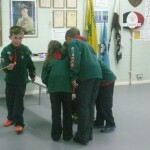 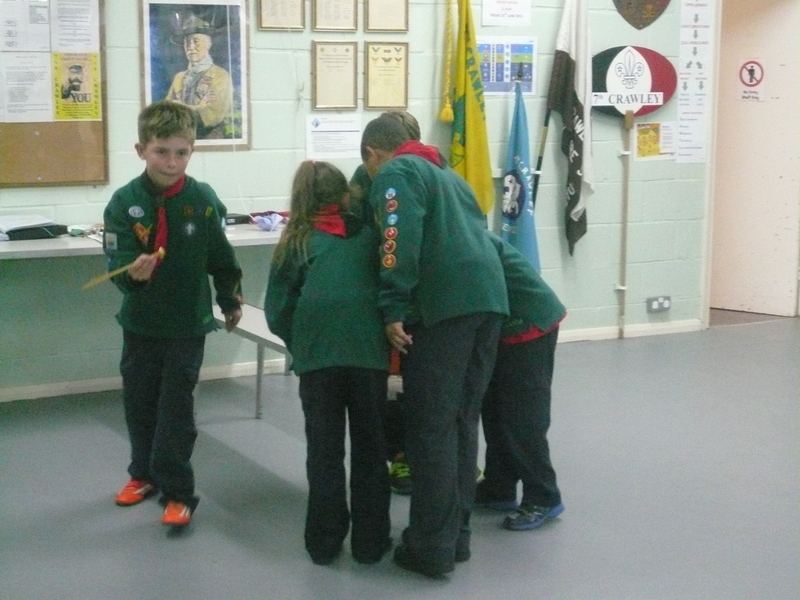 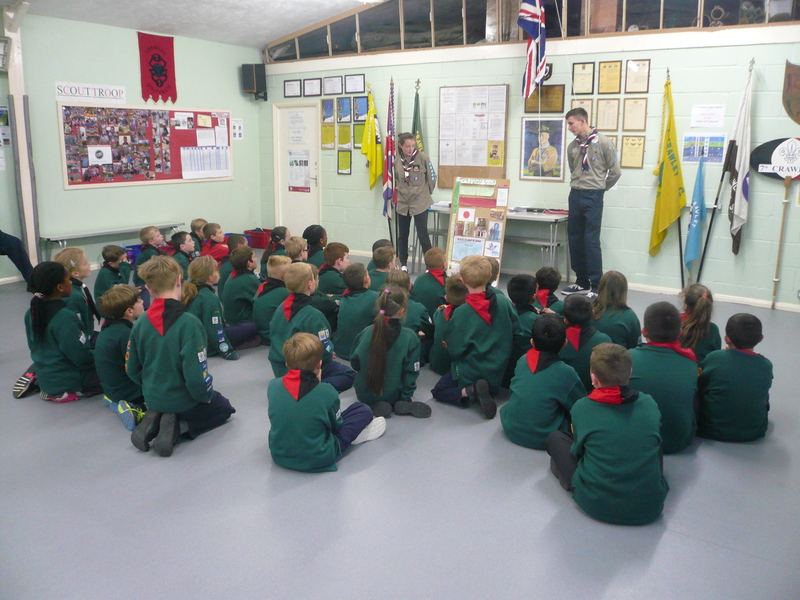 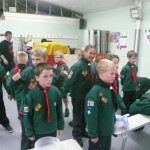 The evening concluded with the presentation of a number of Promise Challenge badges and a Scout Mate badge and we welcomed Ryan into the Pack as he was invested tonight. 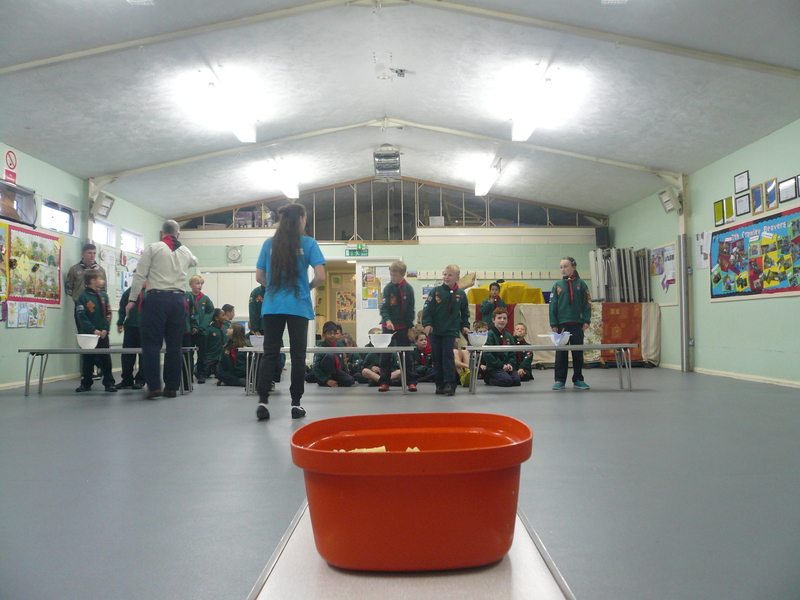 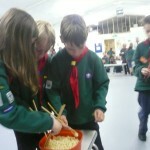 Our sincere thanks to Mia and Matt for giving up their evening and bringing us such interesting and fun activities. 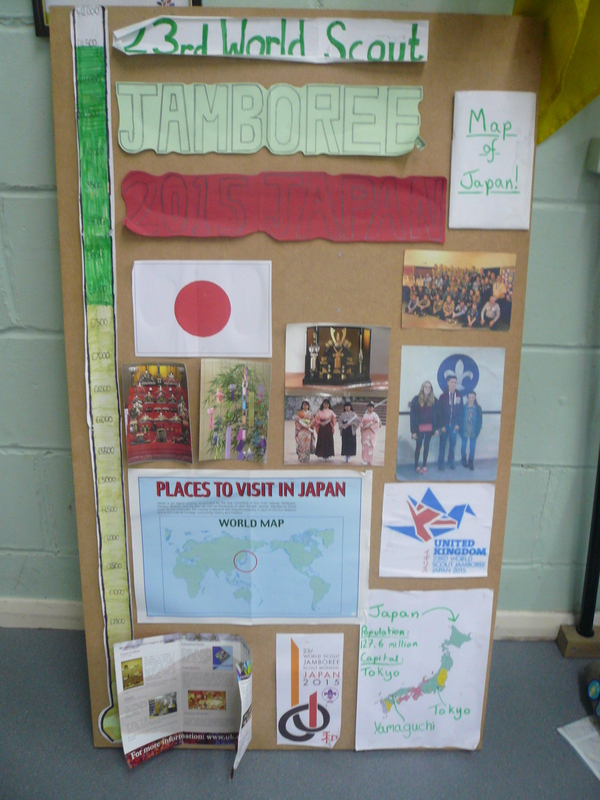 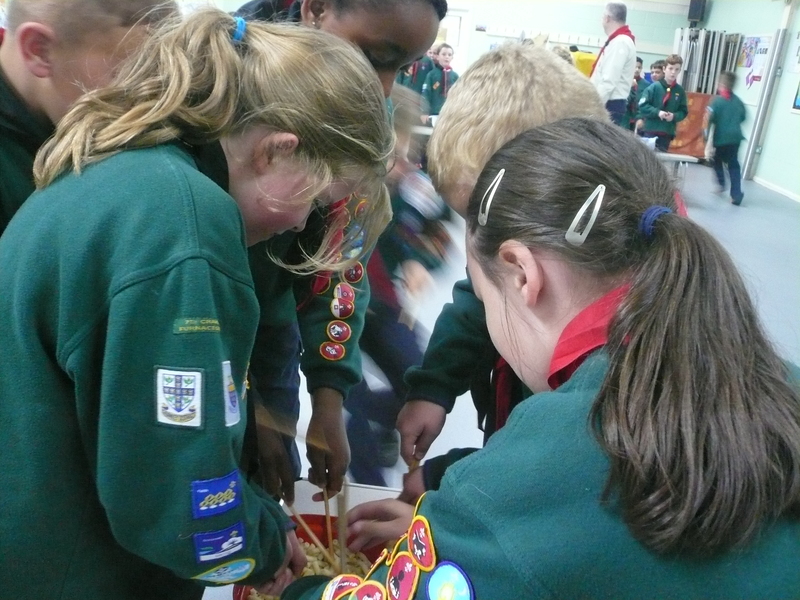 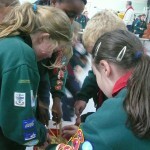 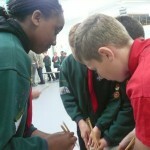 We wish them and Abi safe journeys and exciting times as they take part in the 23rd World Scout Jamboree in Japan.